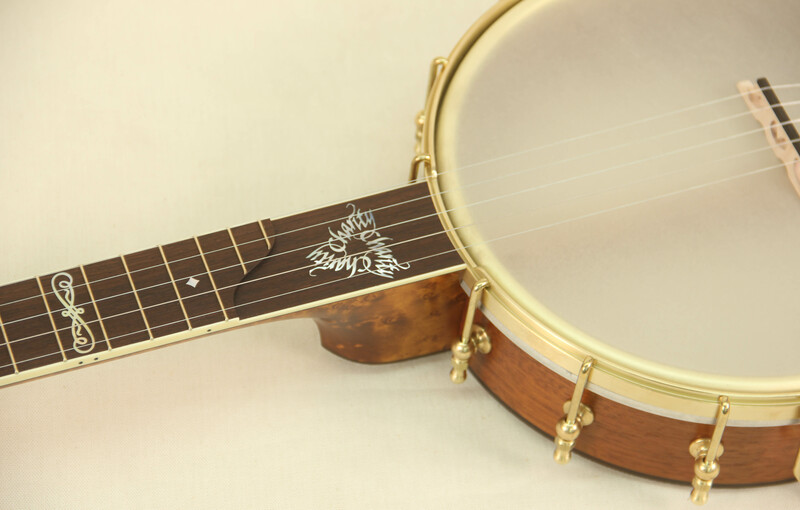 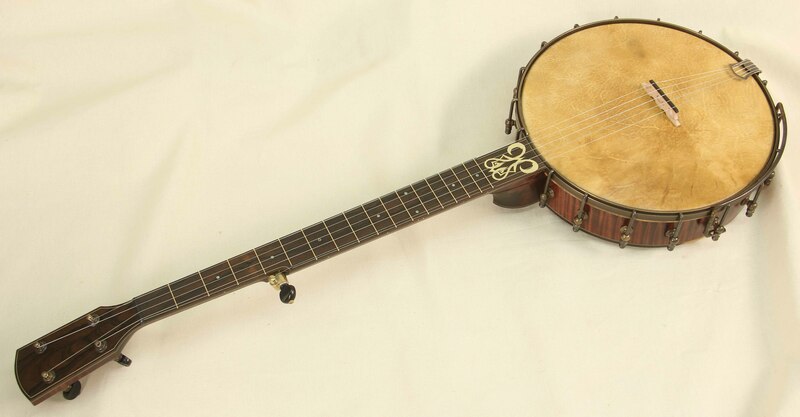 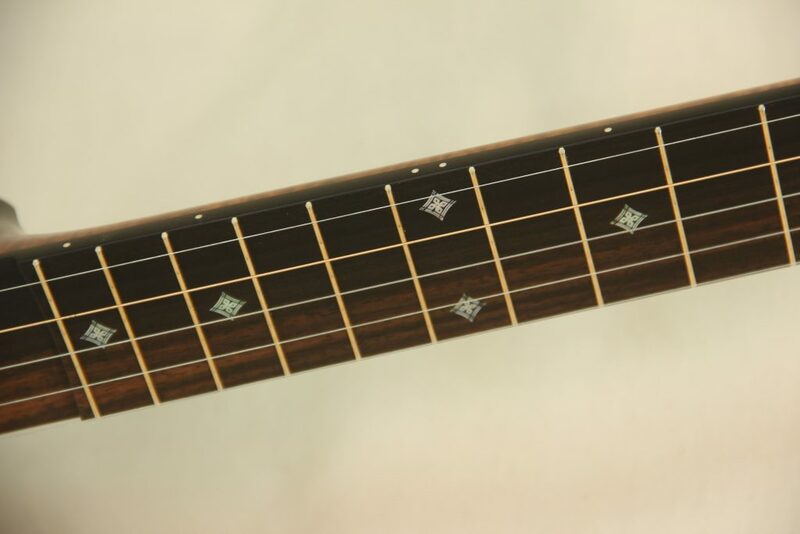 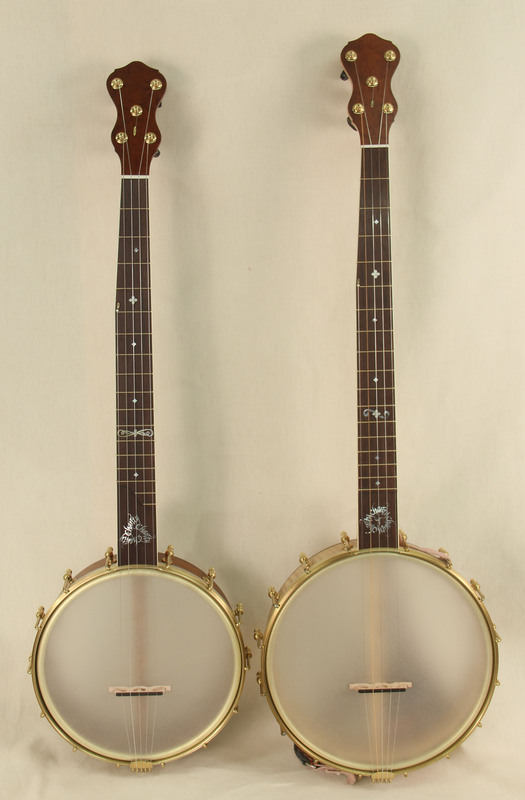 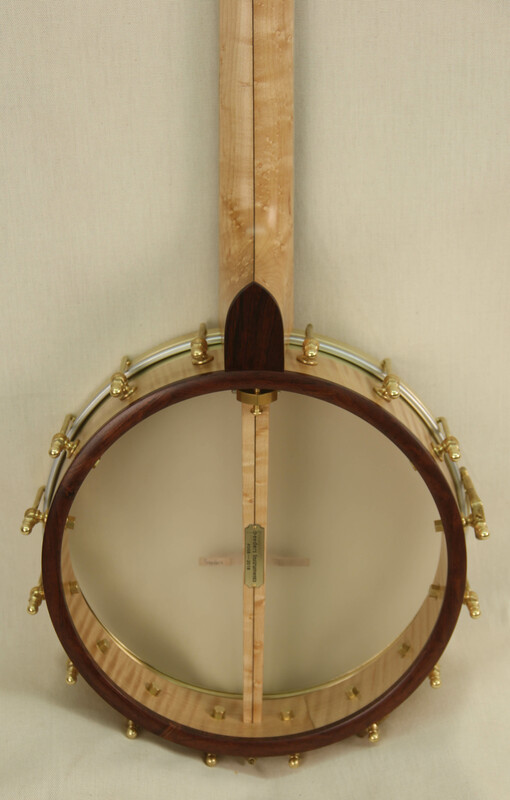 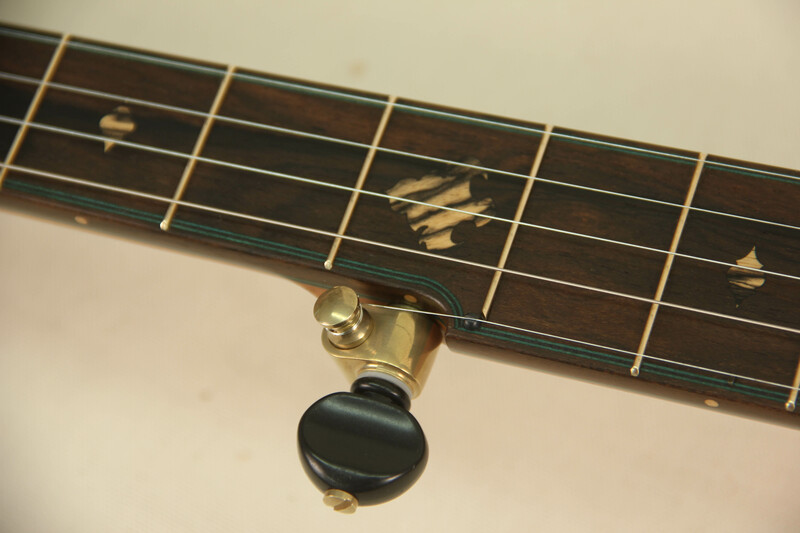 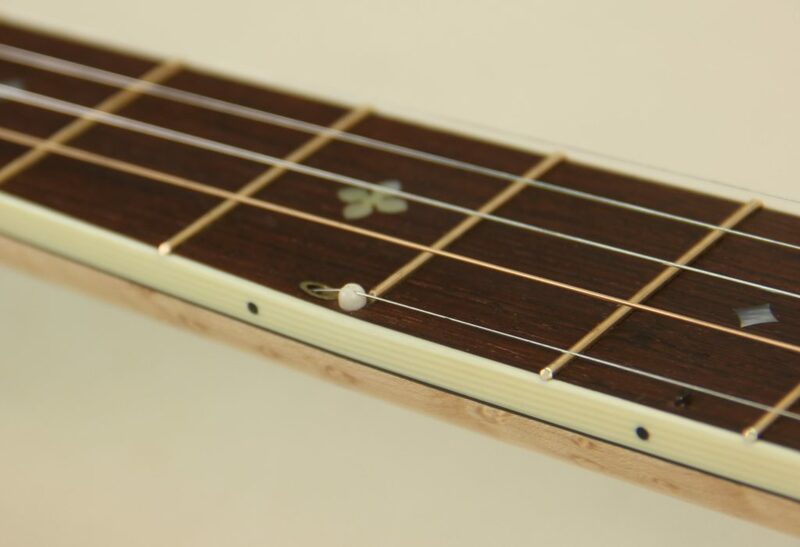 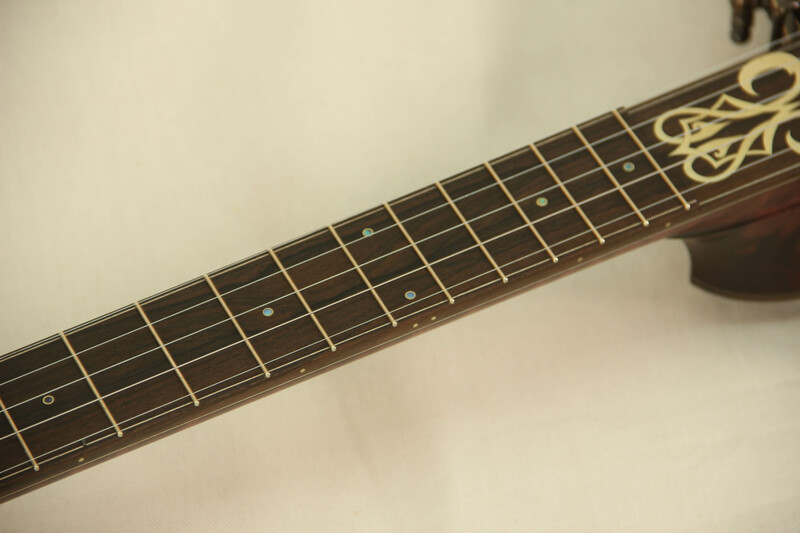 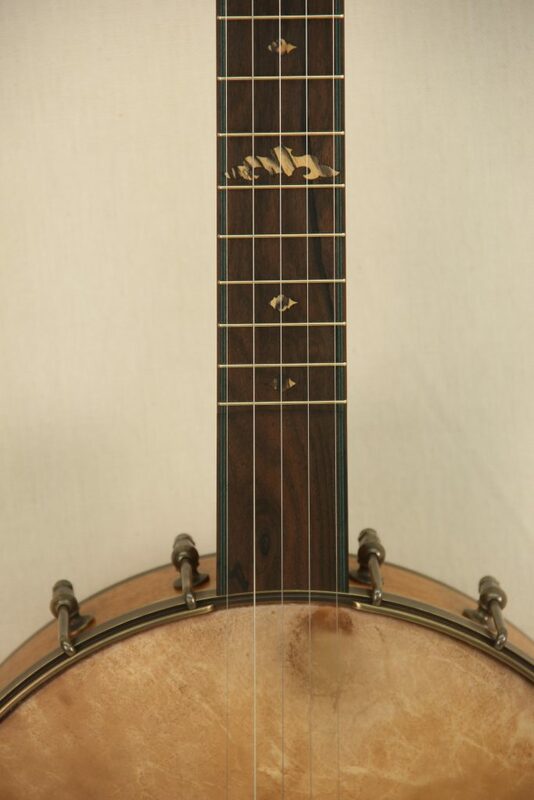 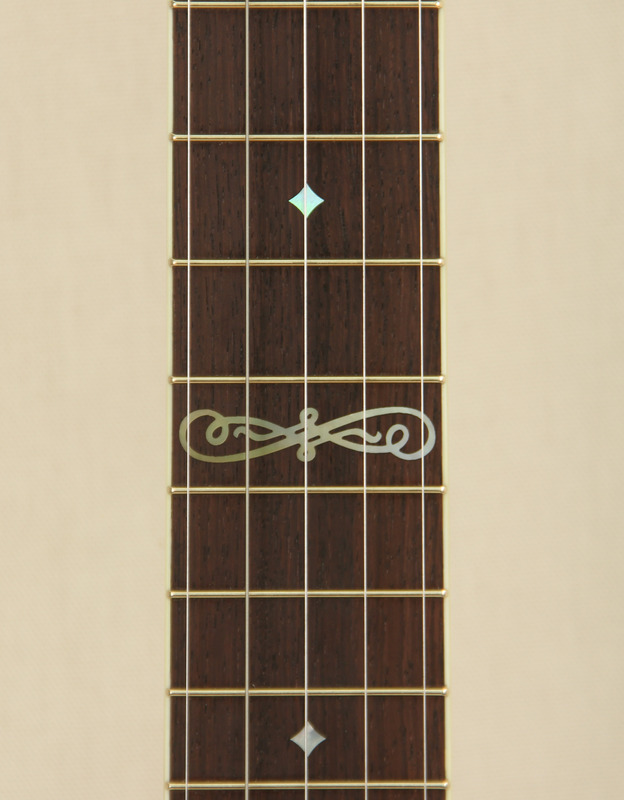 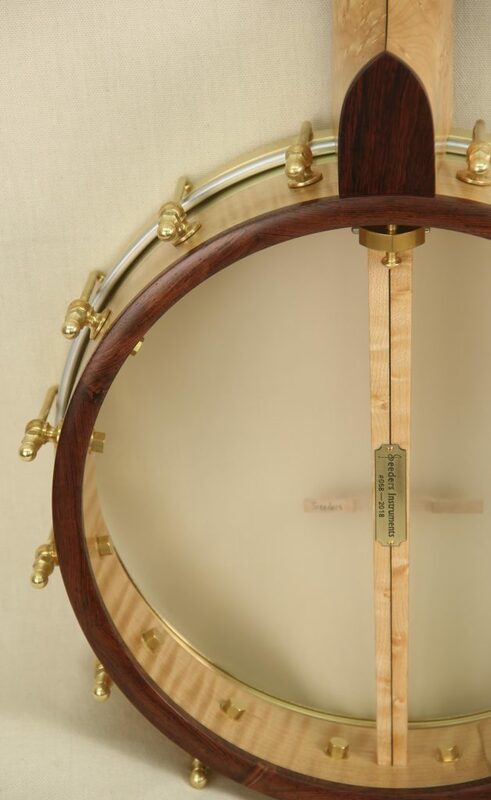 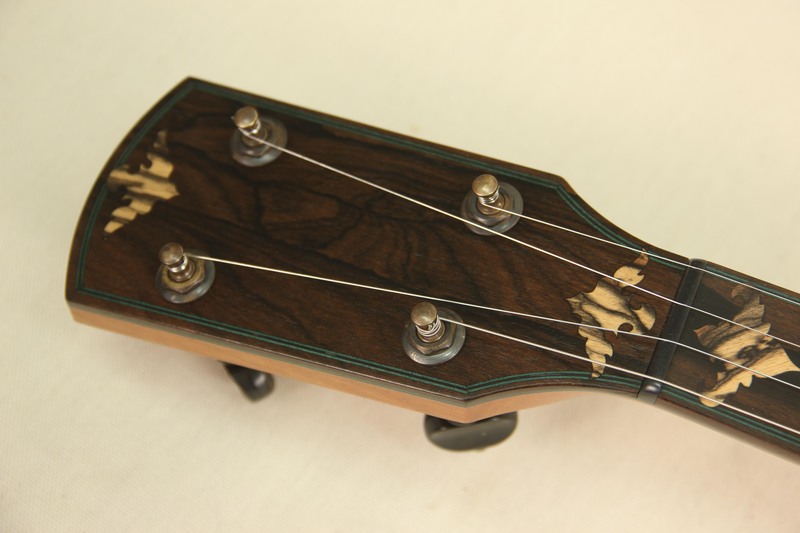 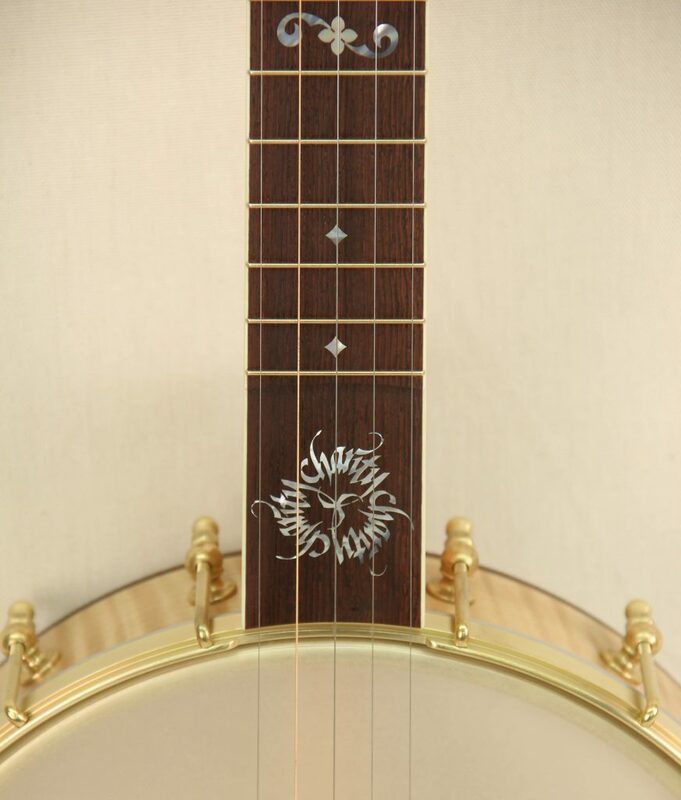 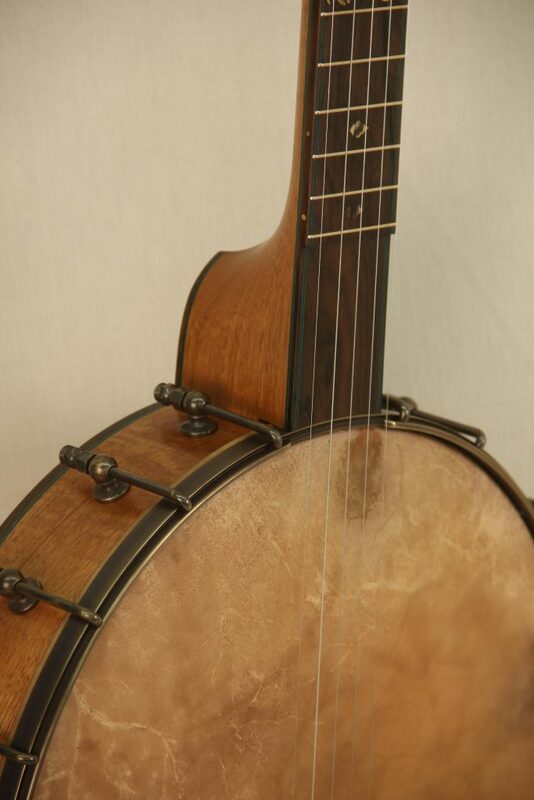 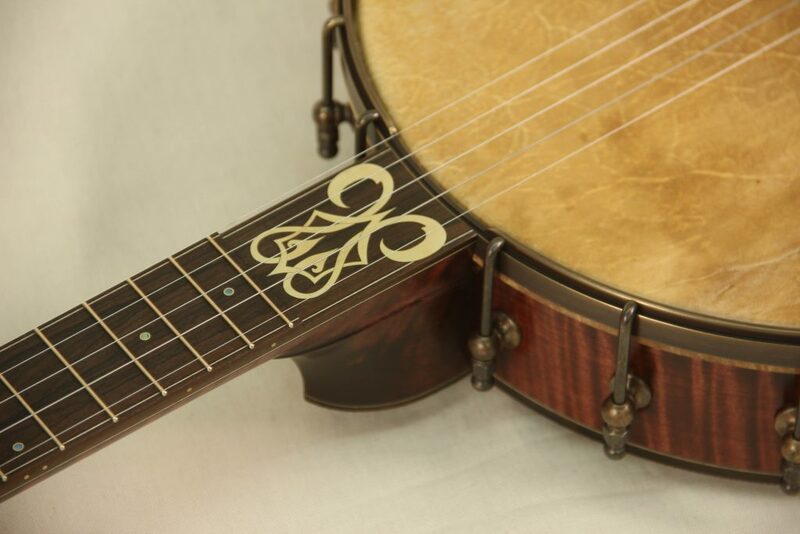 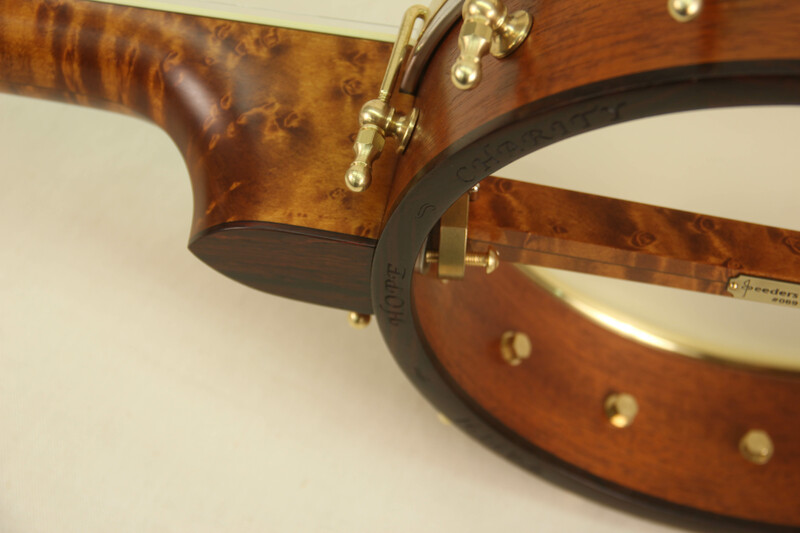 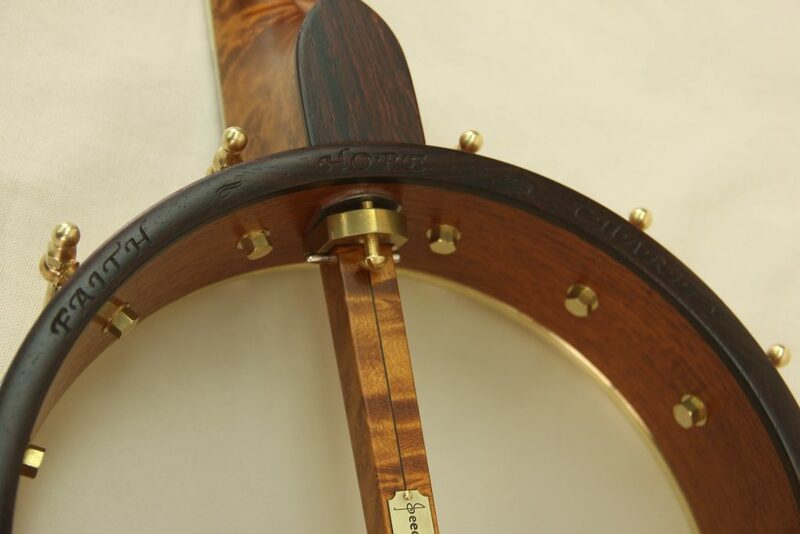 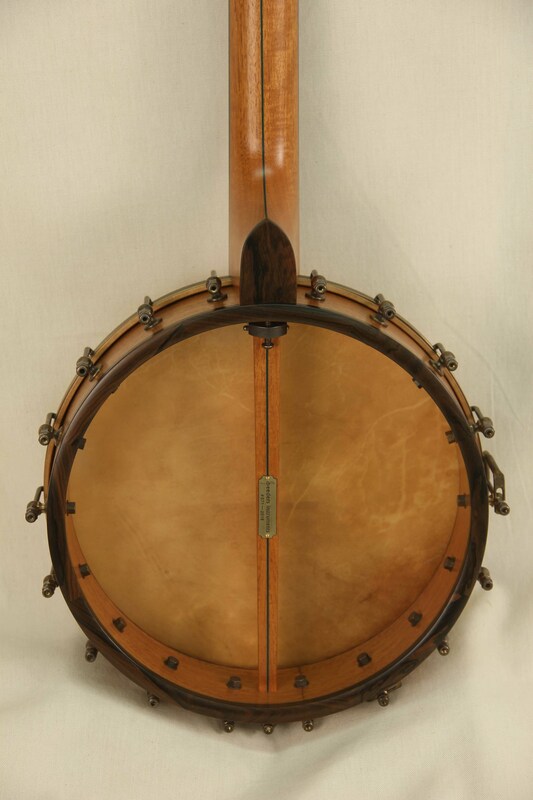 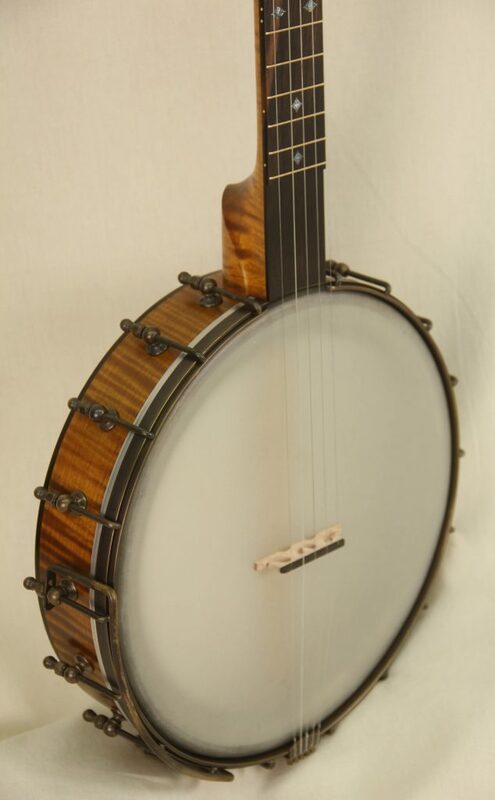 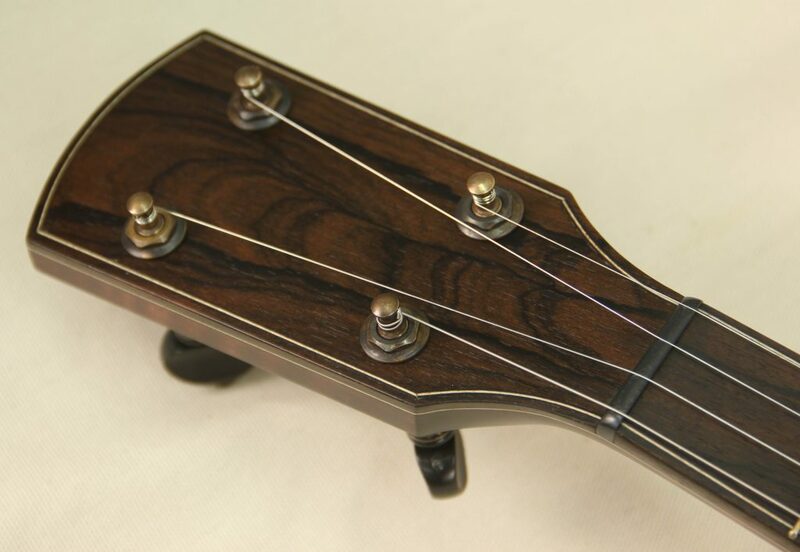 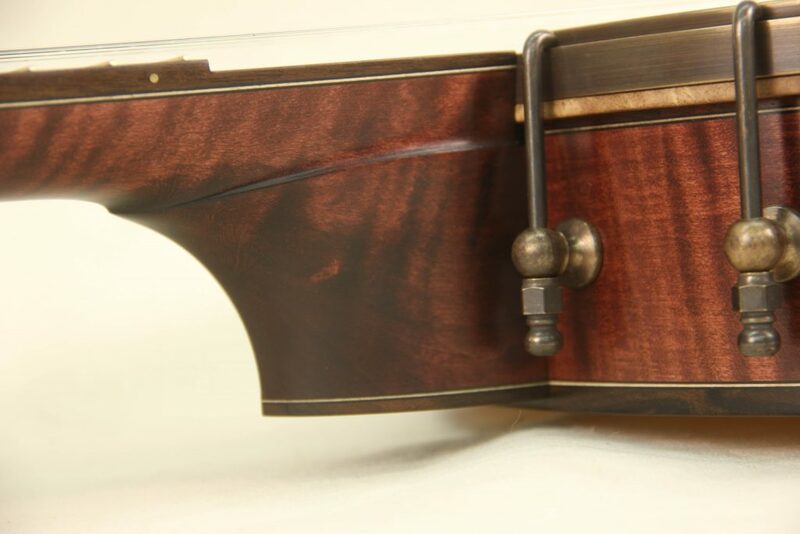 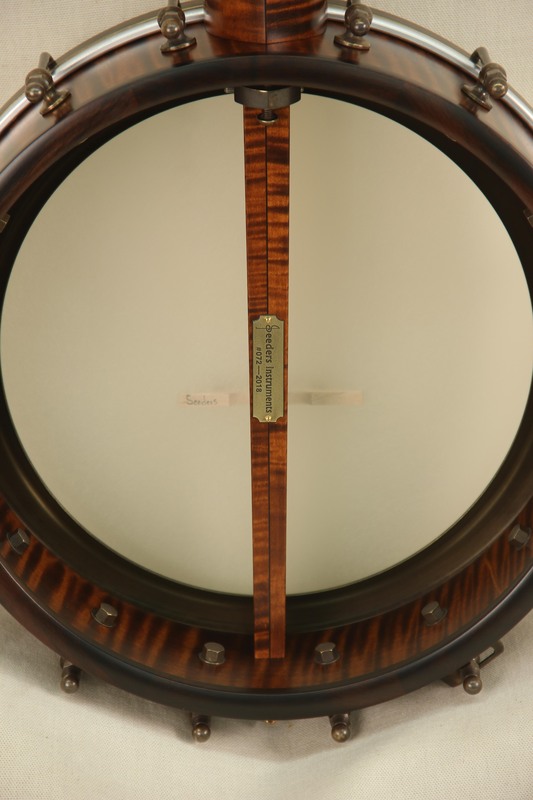 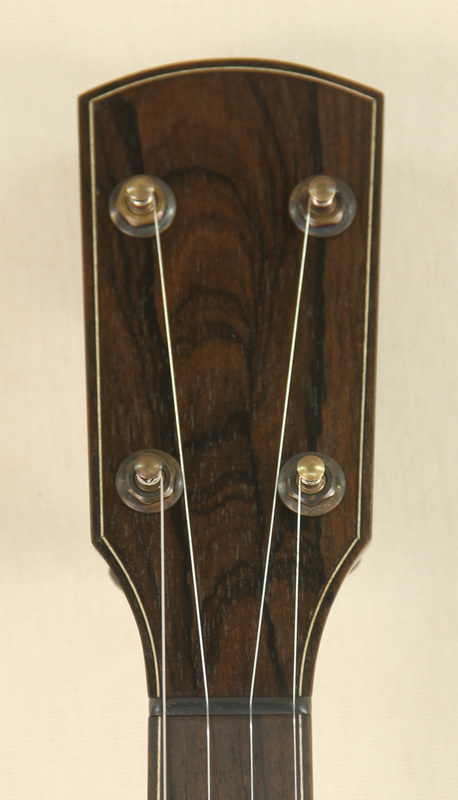 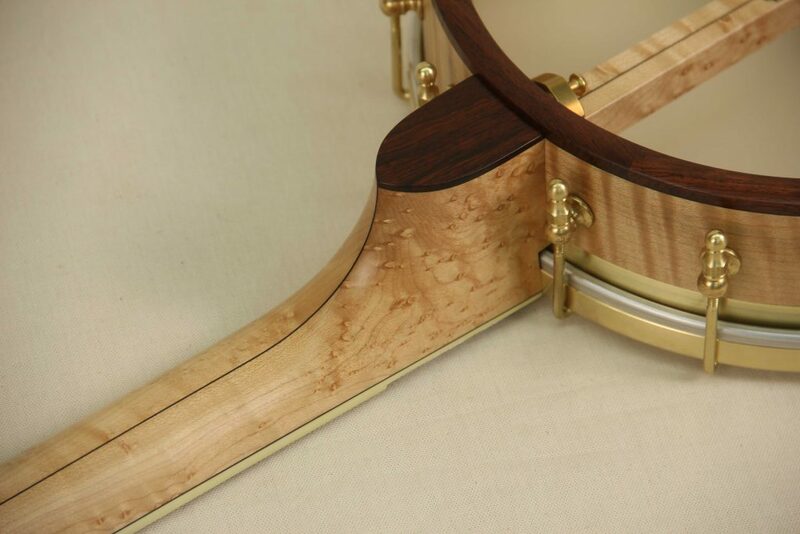 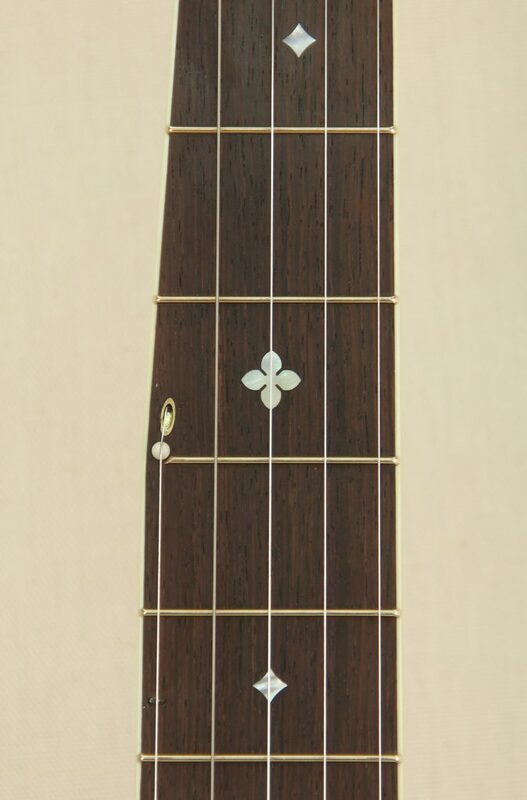 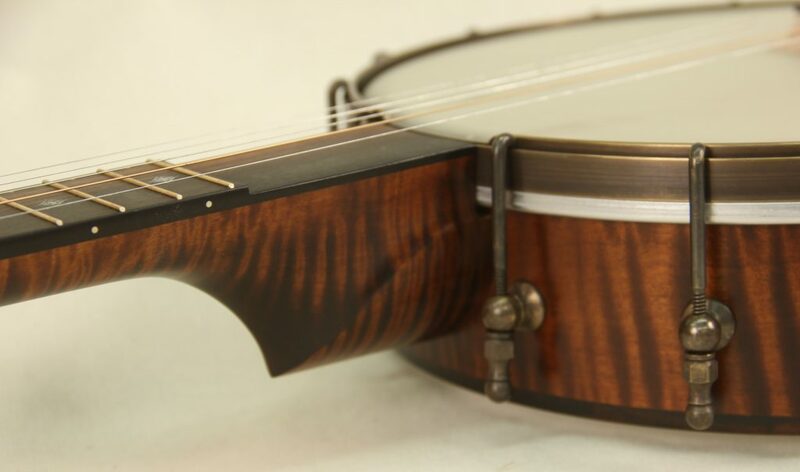 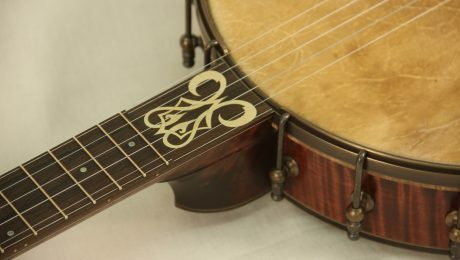 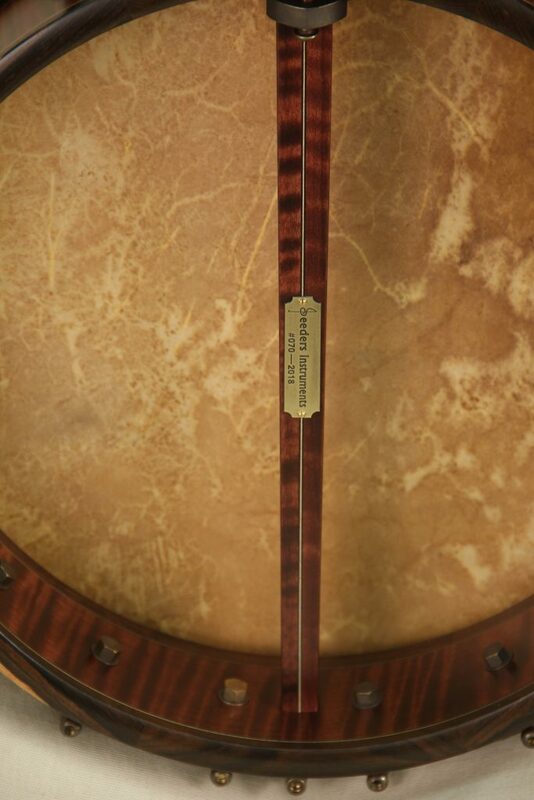 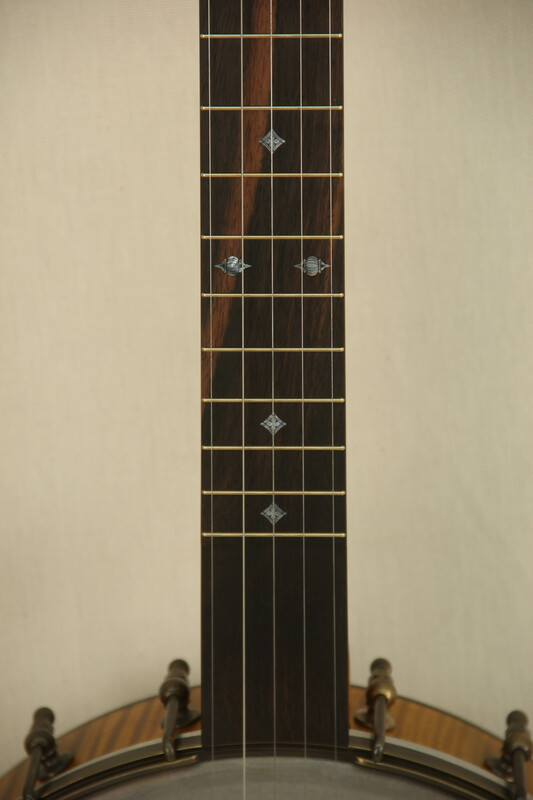 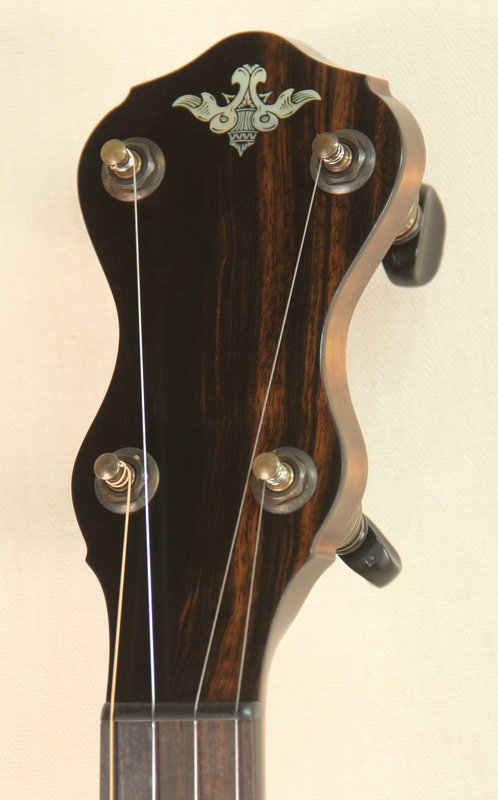 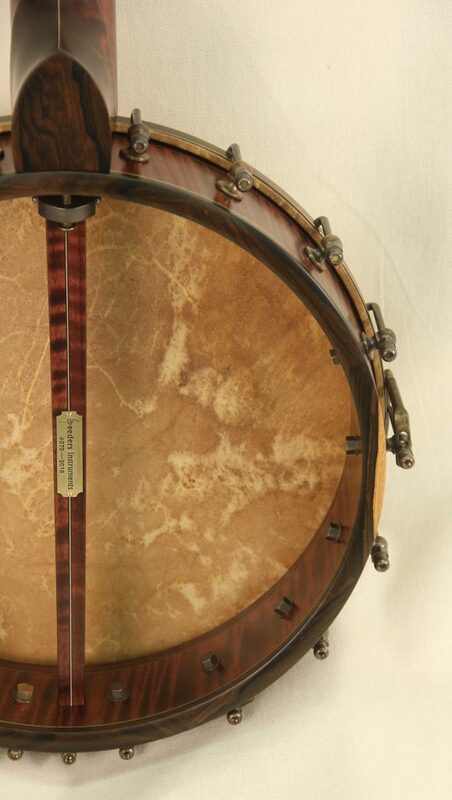 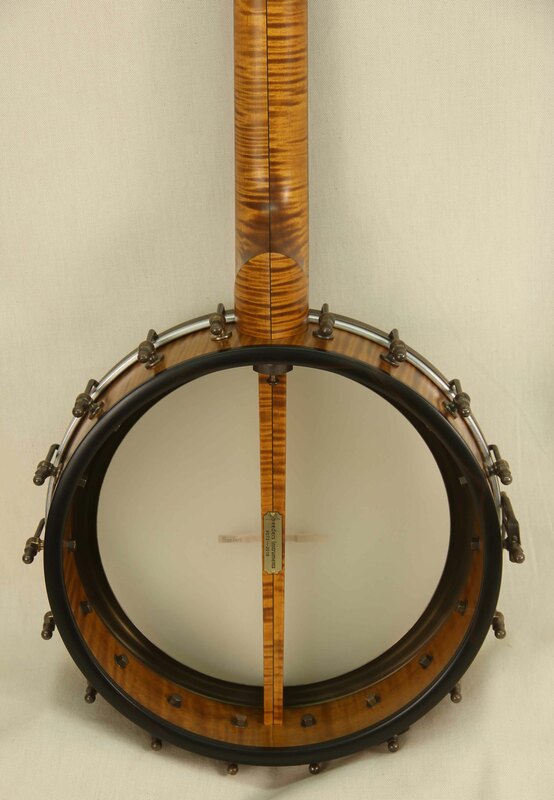 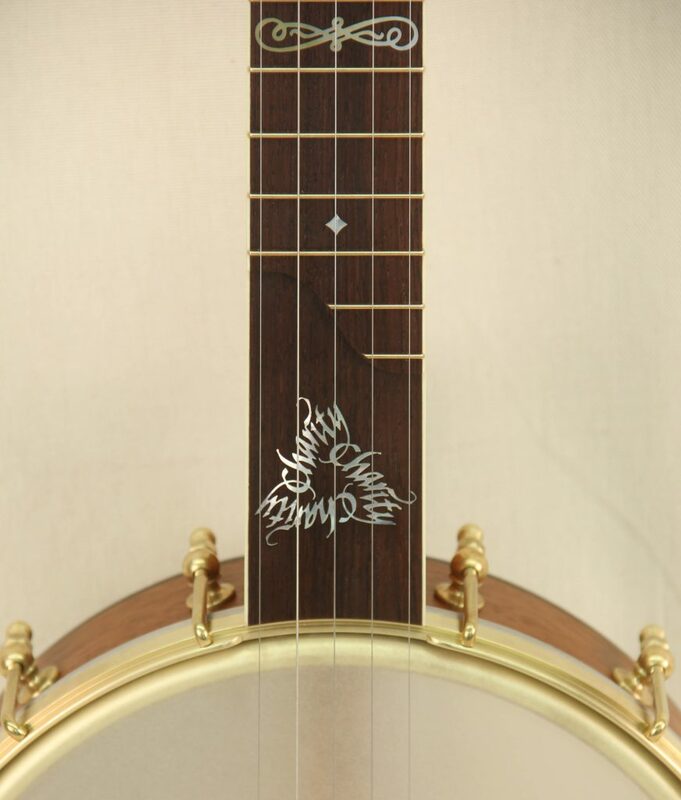 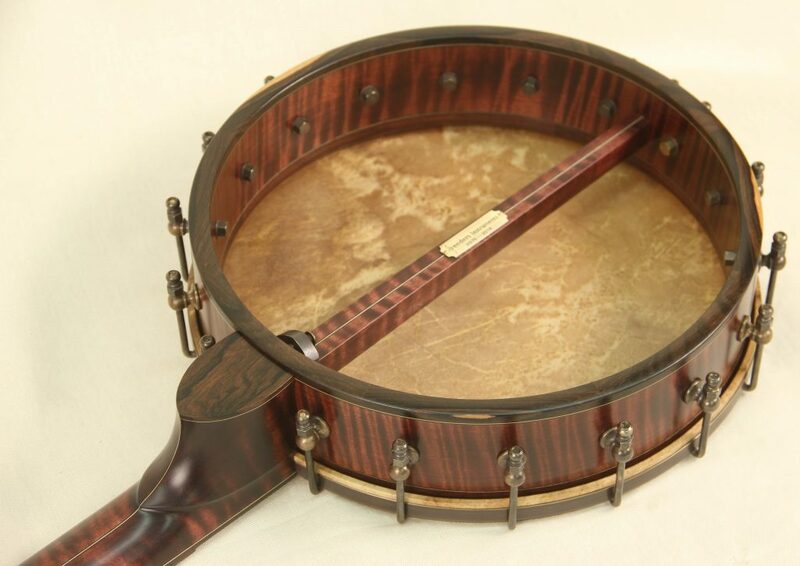 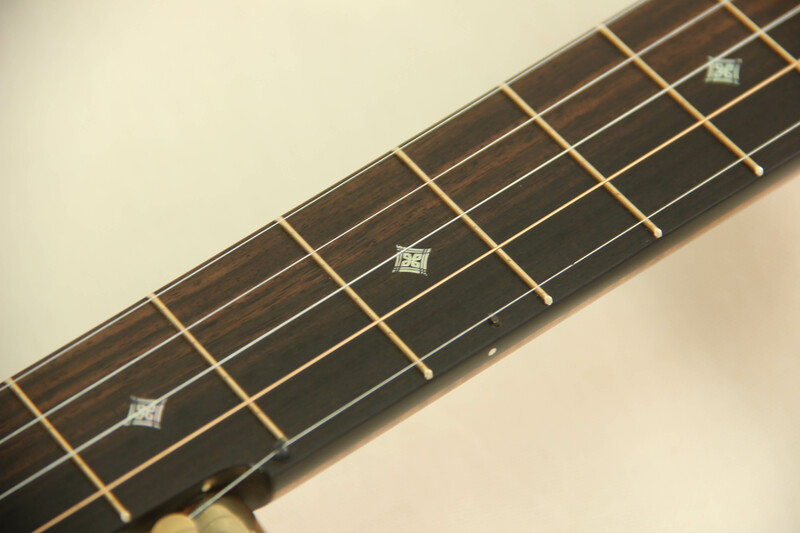 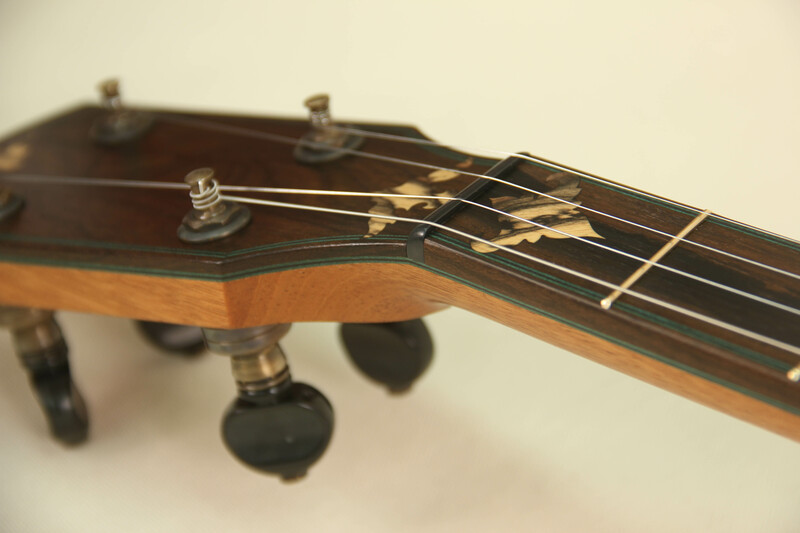 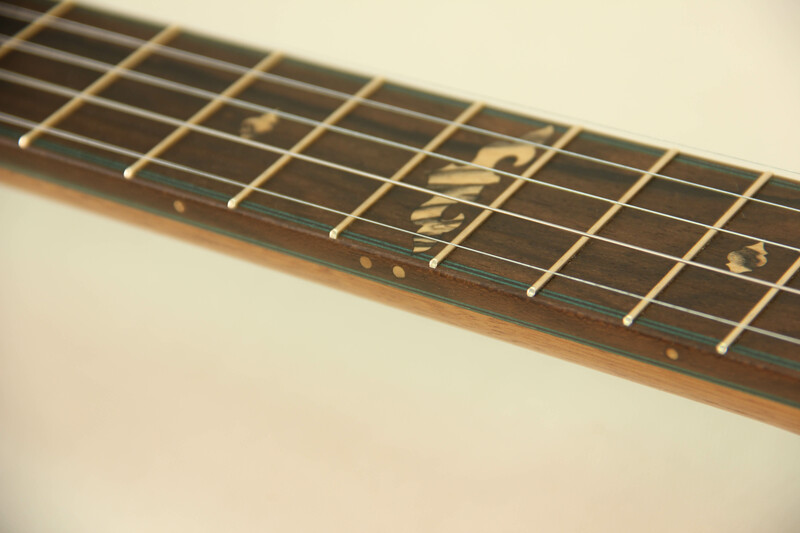 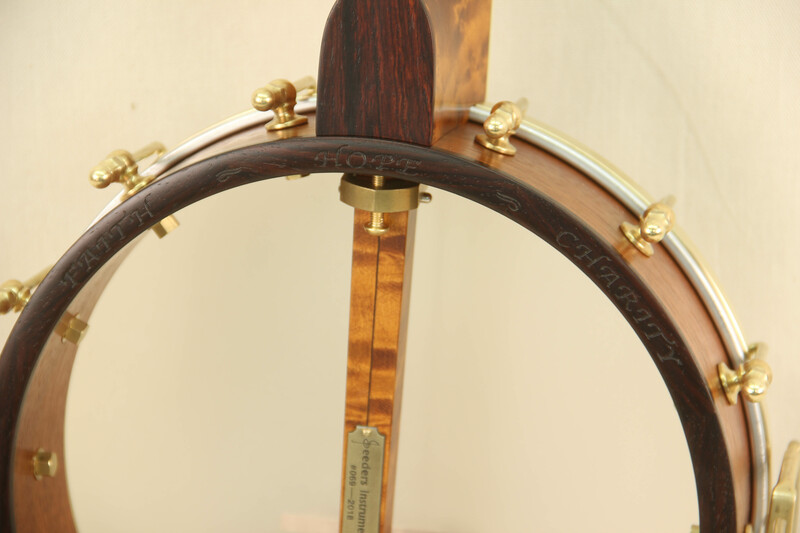 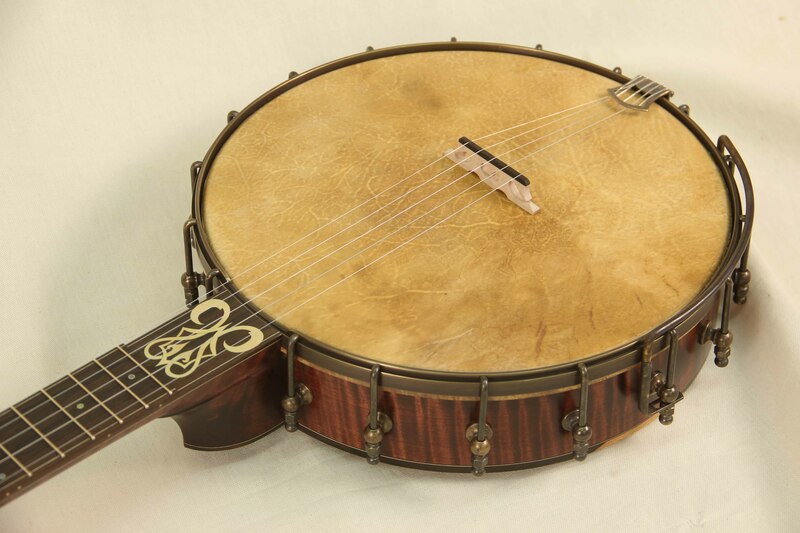 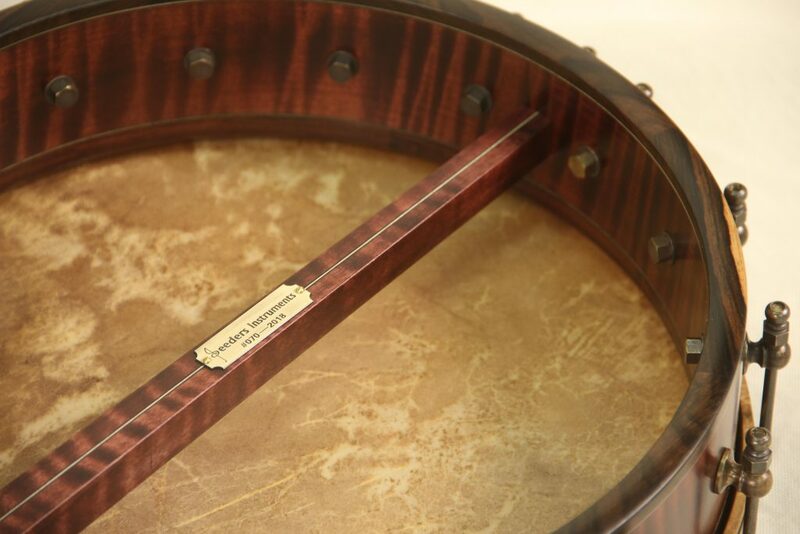 This banjo was built in companion to #068 and both feature a tunneled fifth string and similar details to each other. 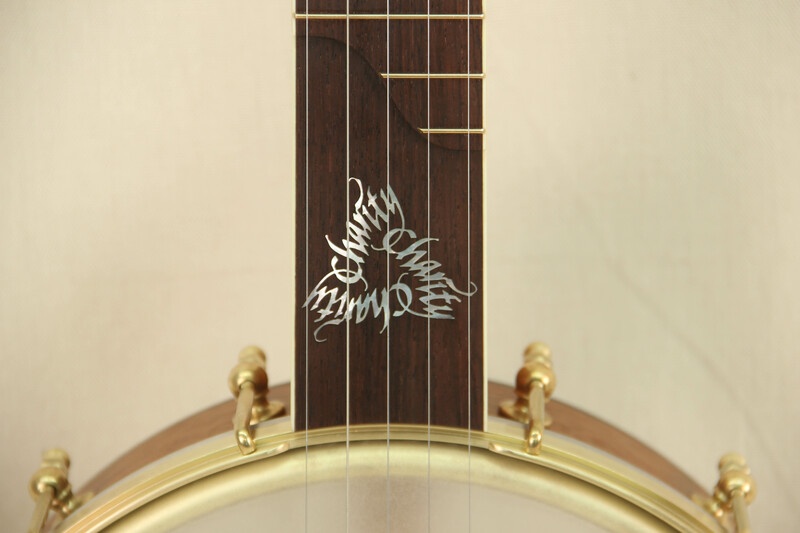 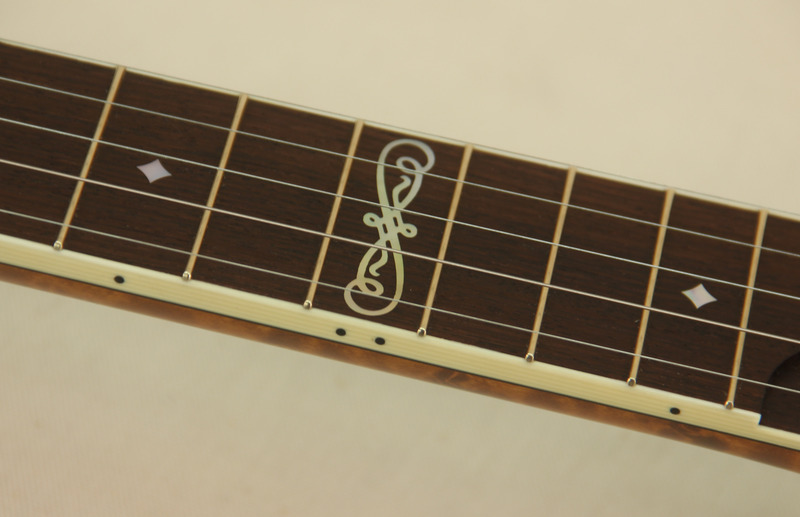 They feature calligraphy inlays in the scoop designed by the owners talented friend Kathryn Darnell. 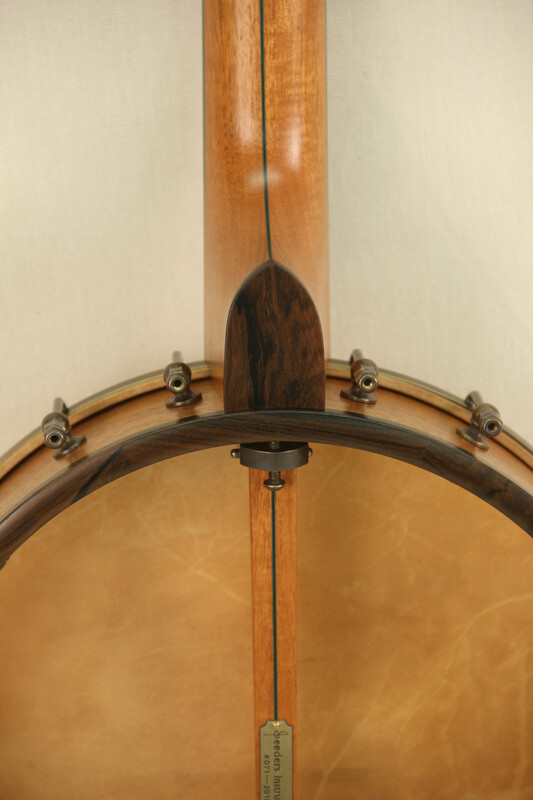 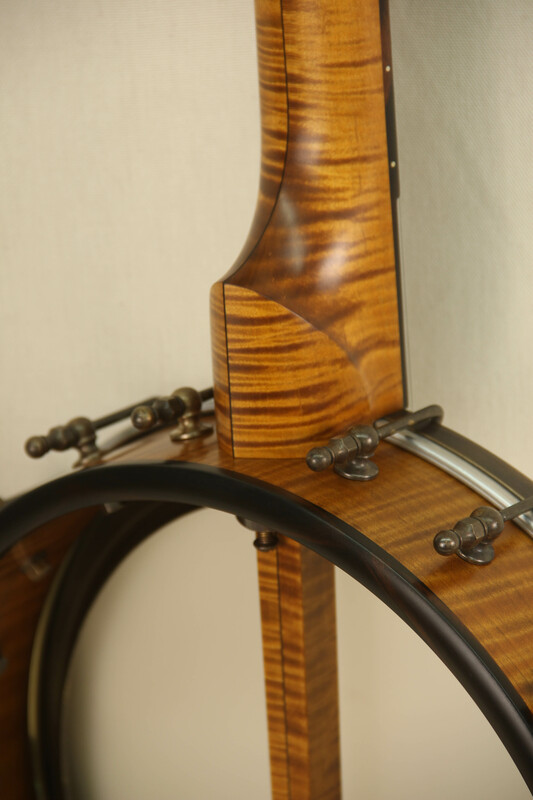 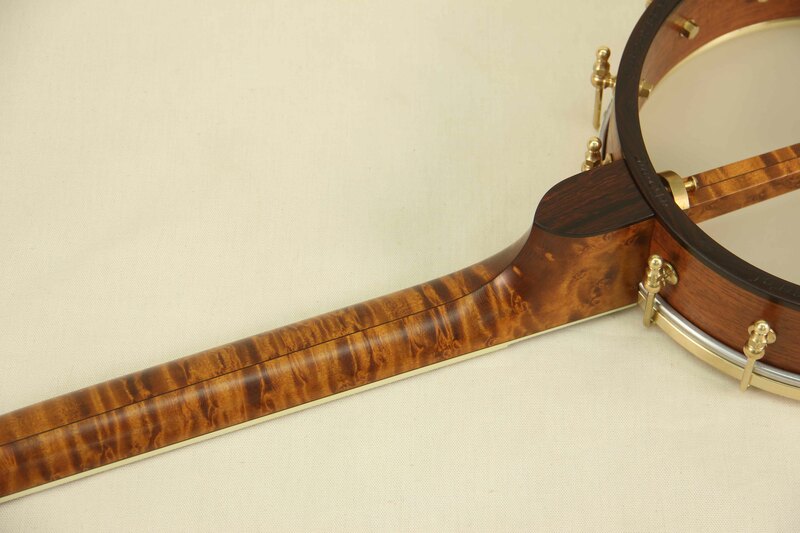 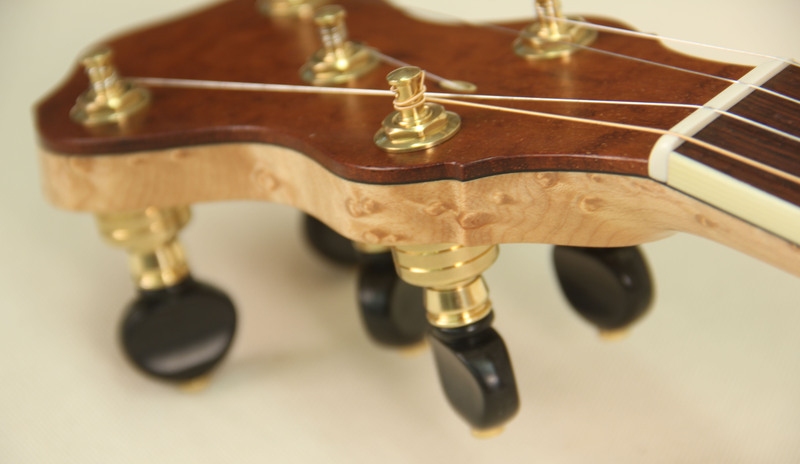 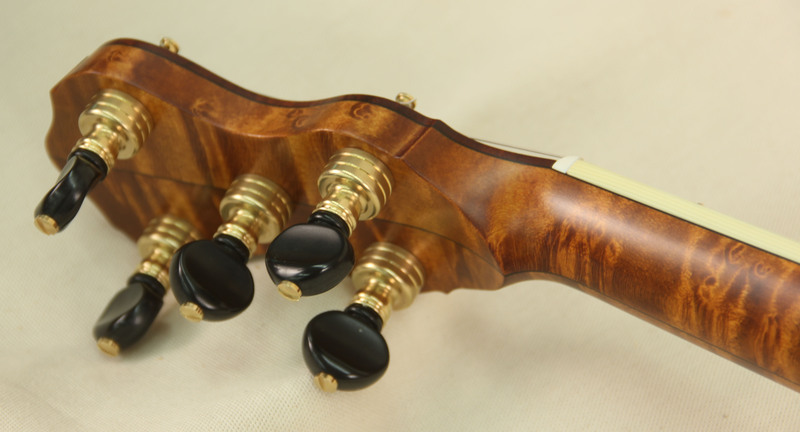 Simple and elegant was our approach to this pair of instruments. 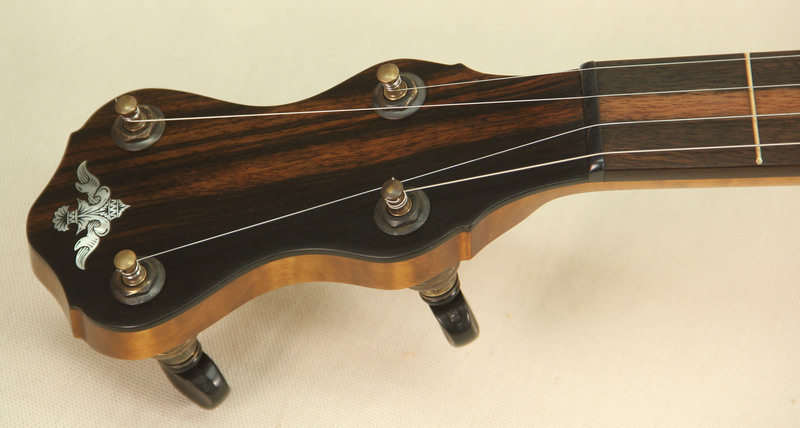 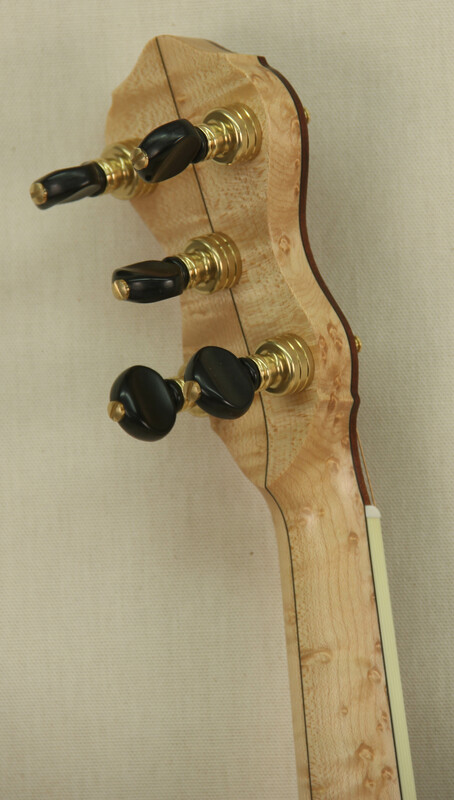 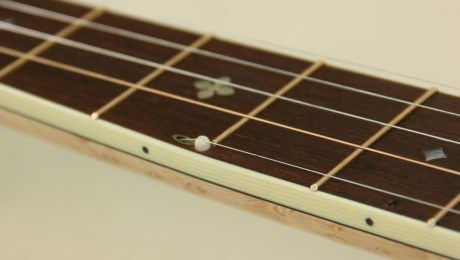 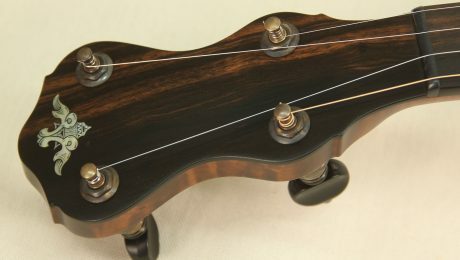 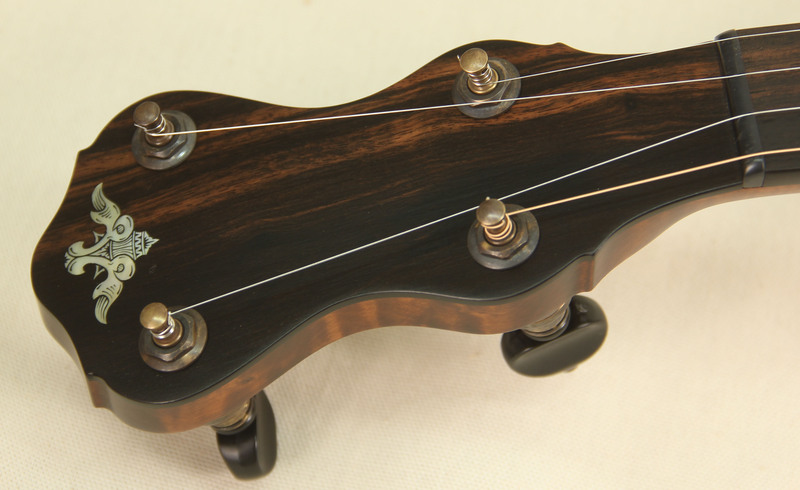 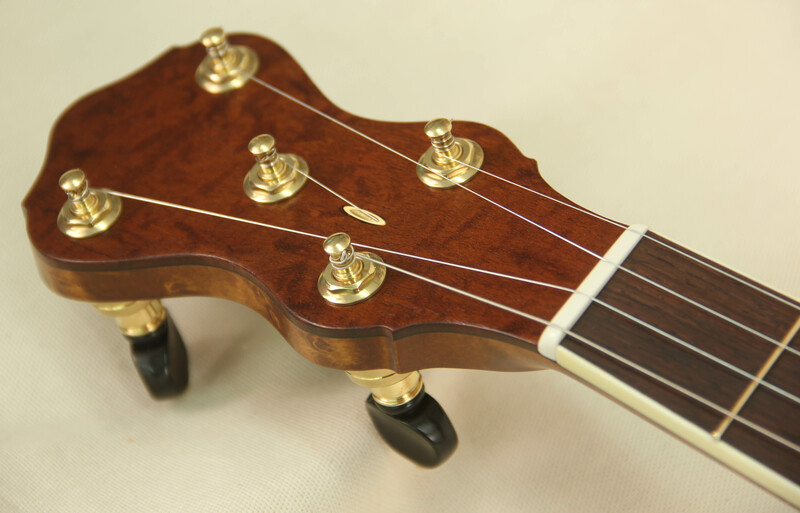 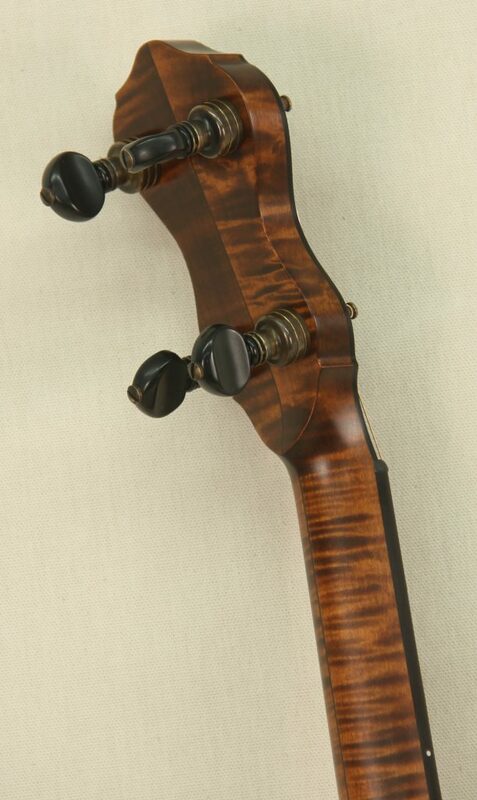 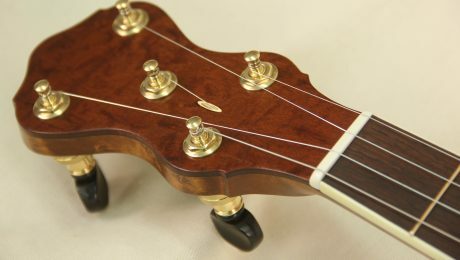 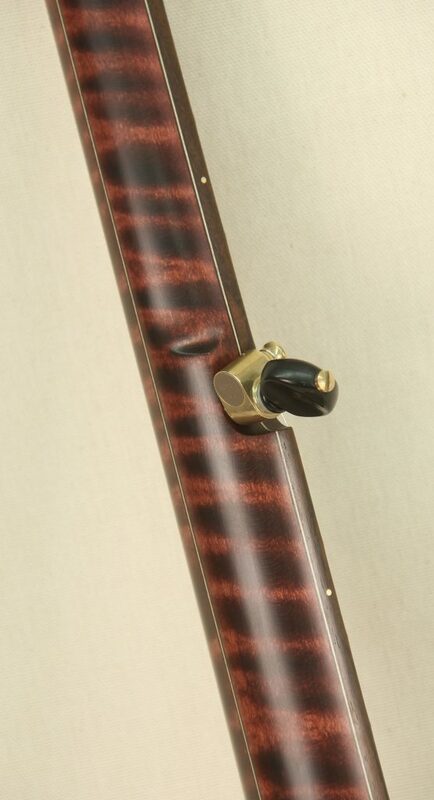 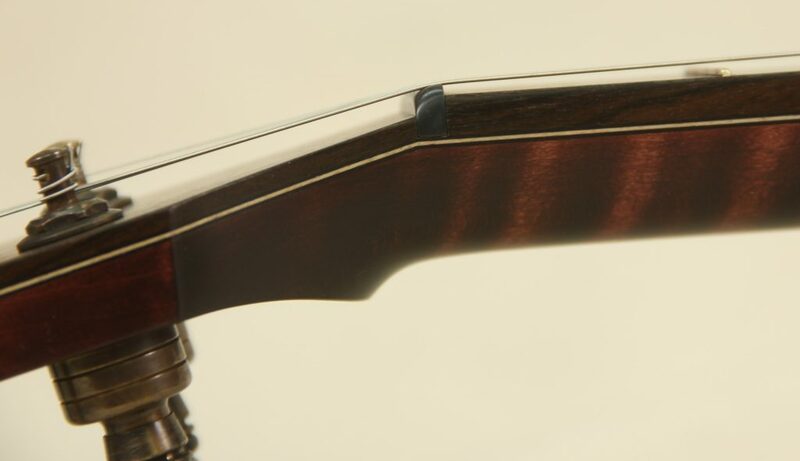 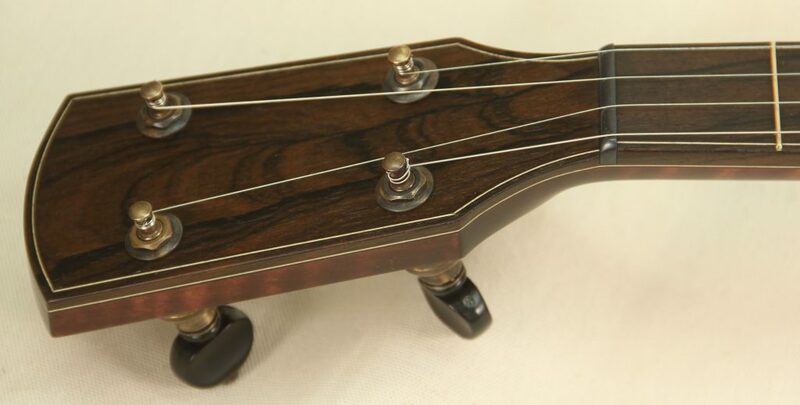 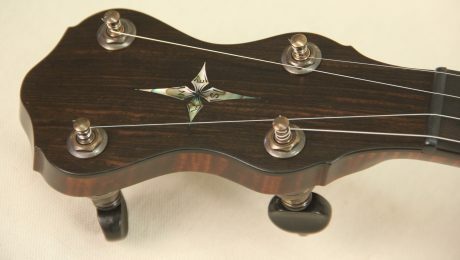 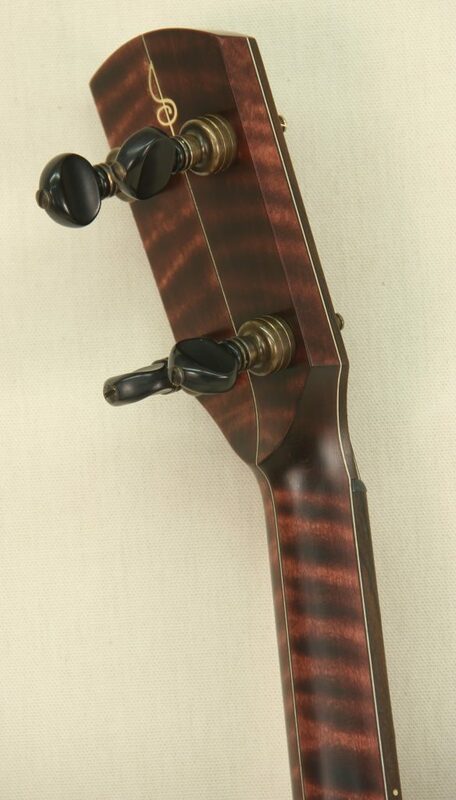 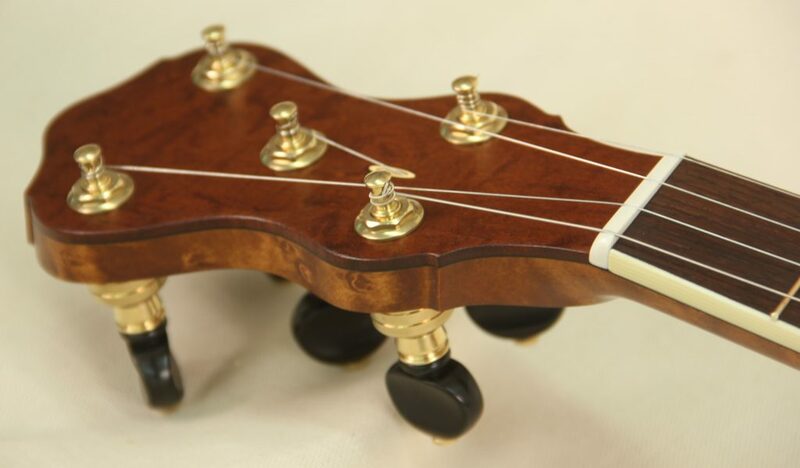 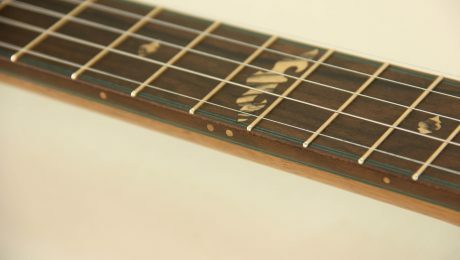 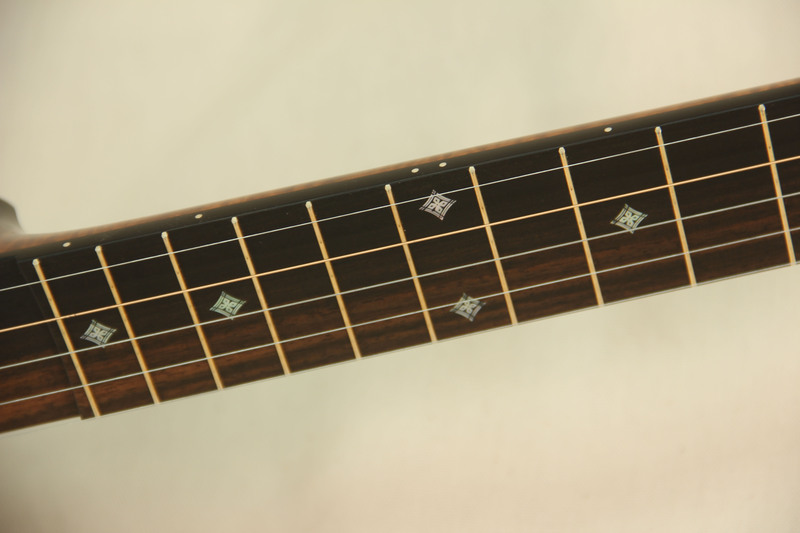 The tunneled fifth string make them incredibly comfortable banjos to play while giving them a unique look. 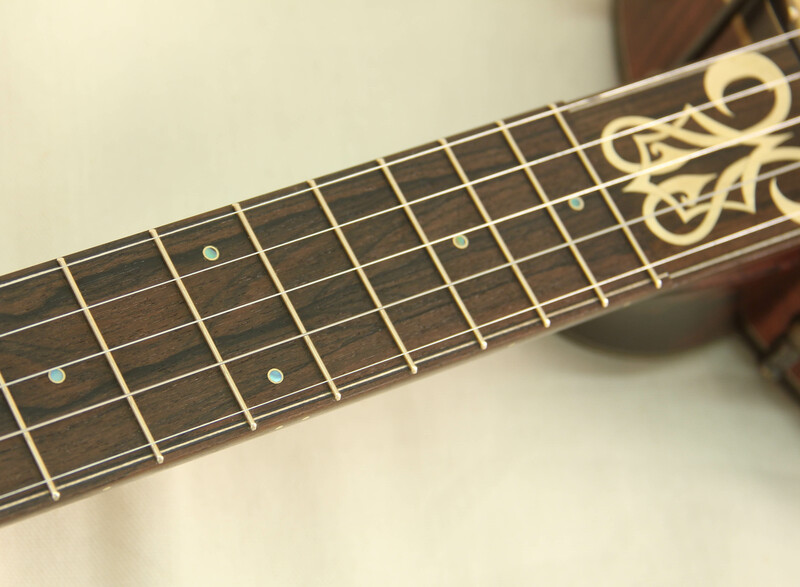 The rare Quilted Cuban Mahogany came from a good friends wood stash that he’s been sitting on for 50+ years that made for a beautiful accent. 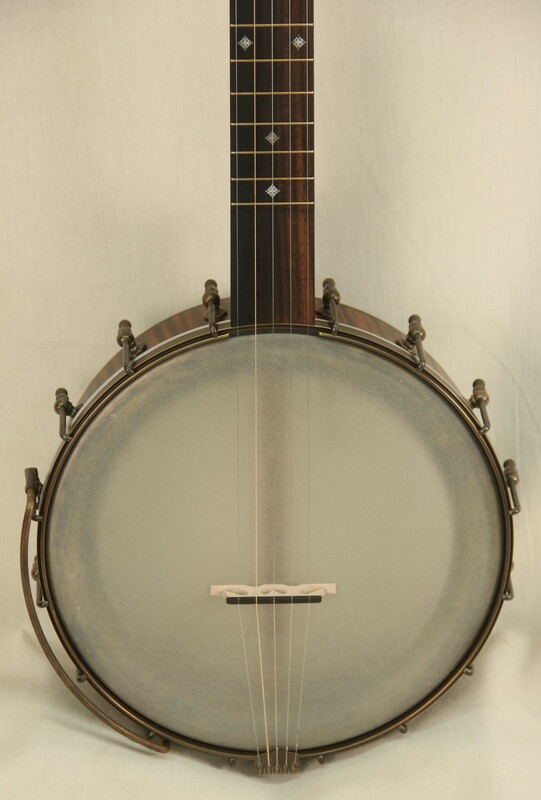 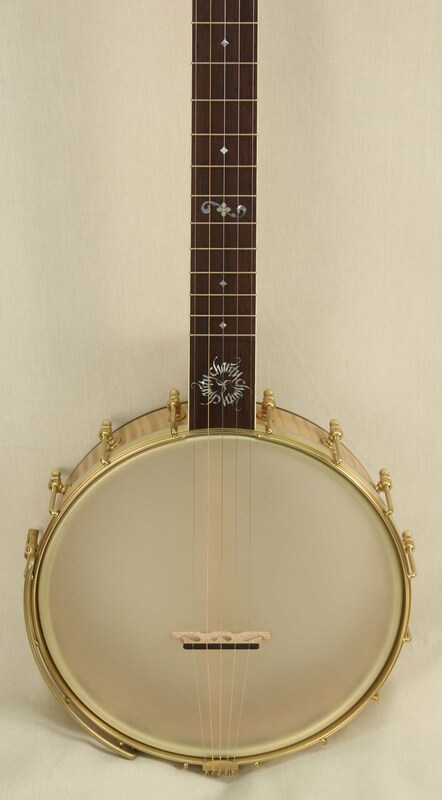 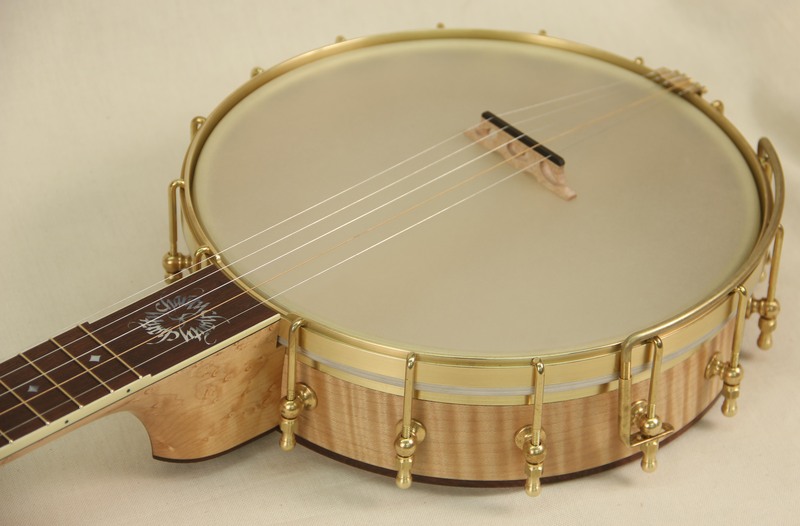 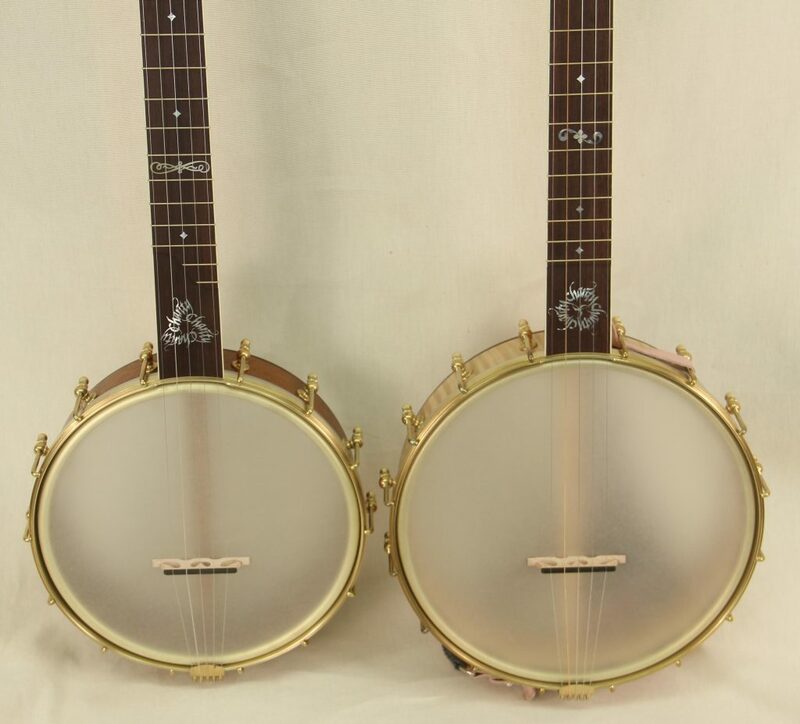 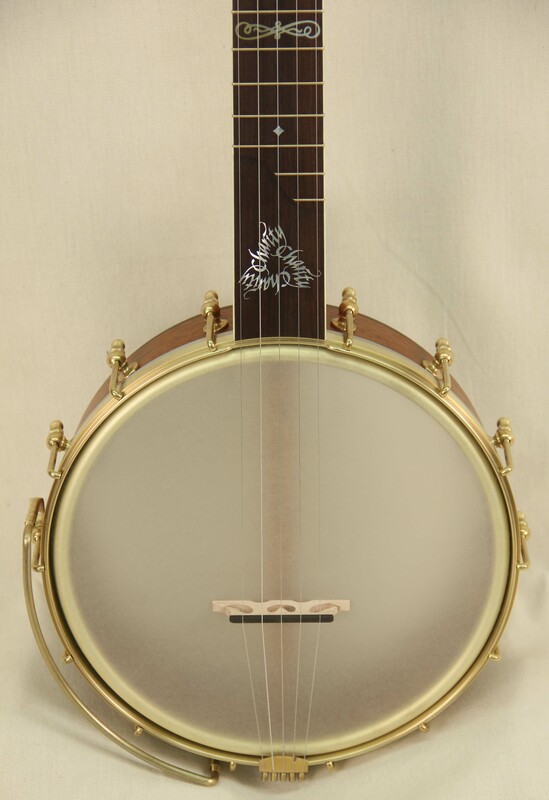 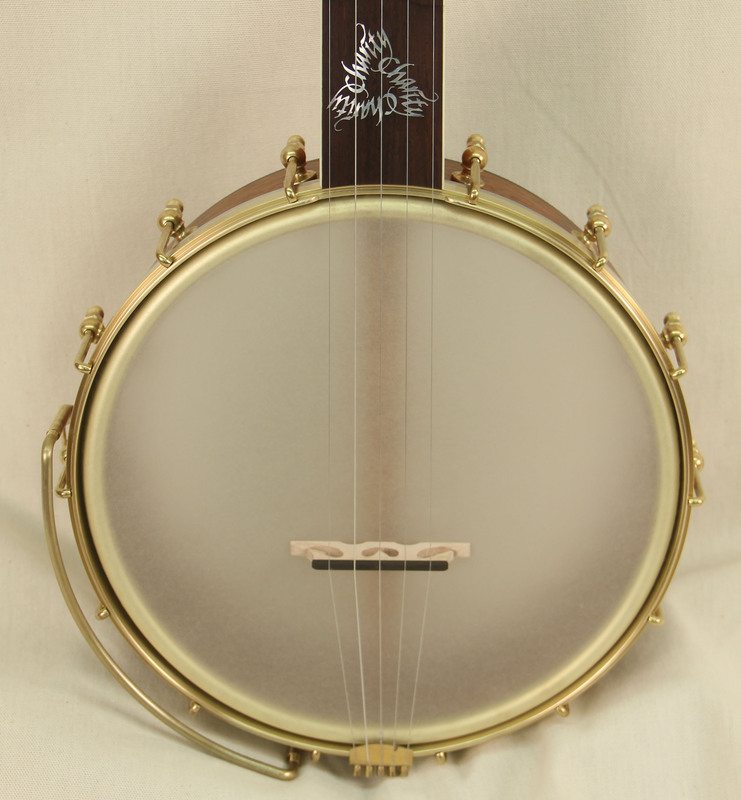 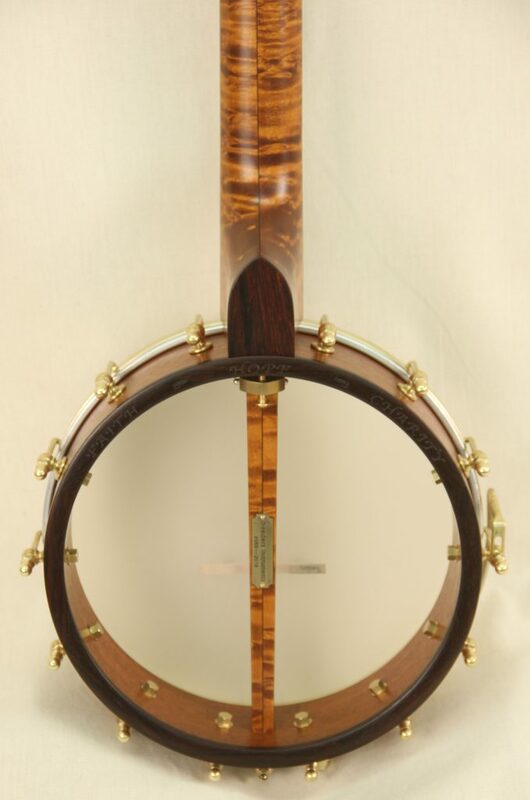 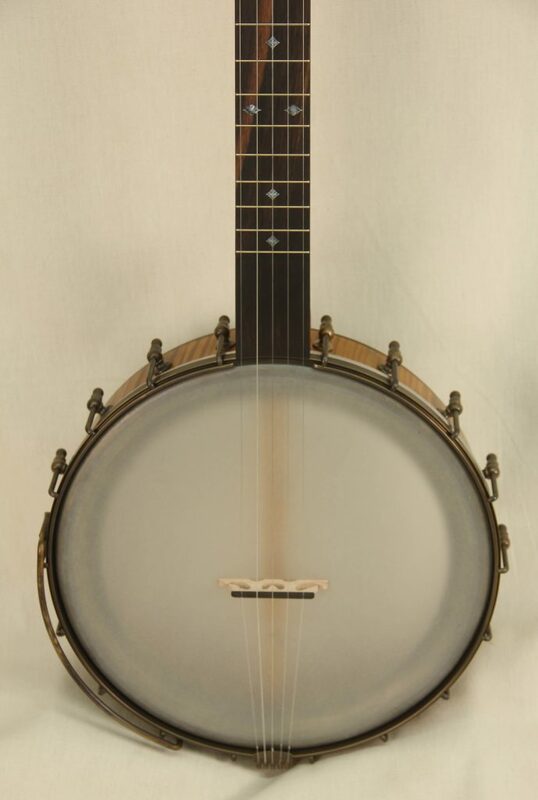 This banjo features a 10″ rim and short scale length for a very comfortable banjo that is easy to travel with. 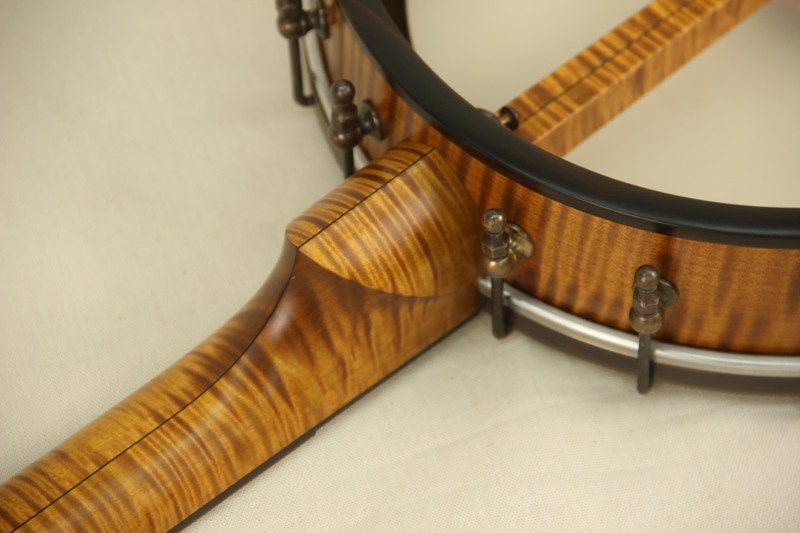 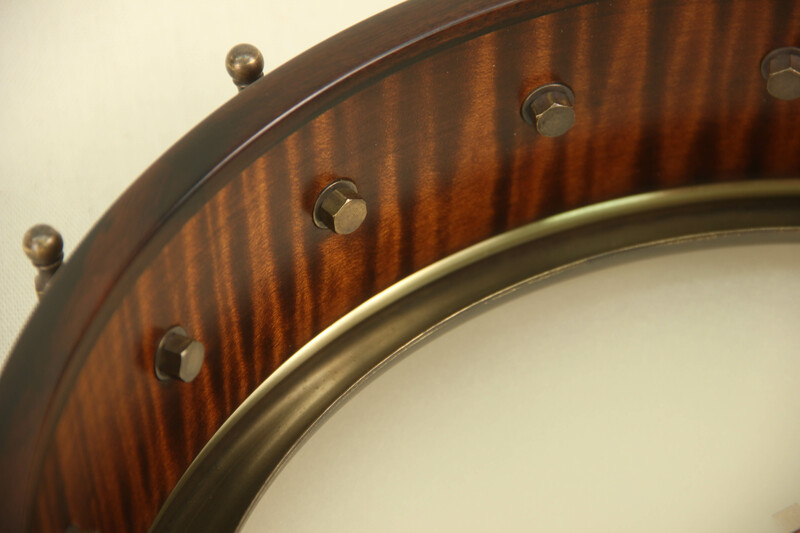 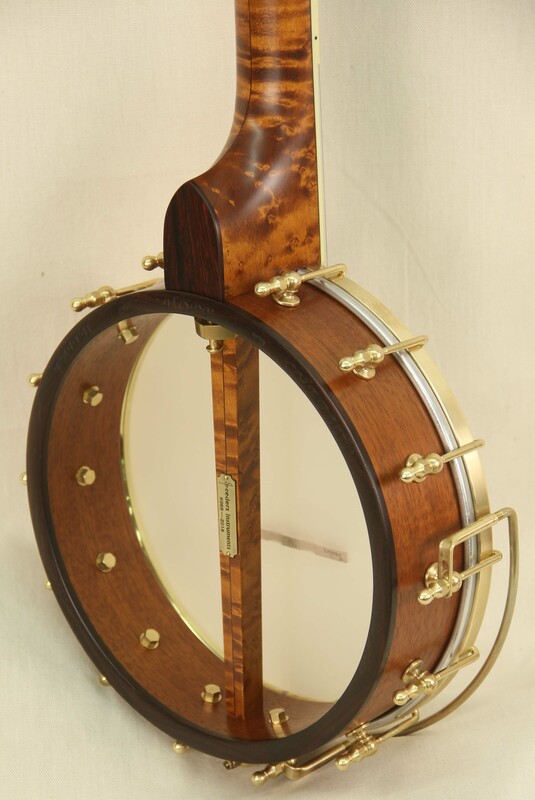 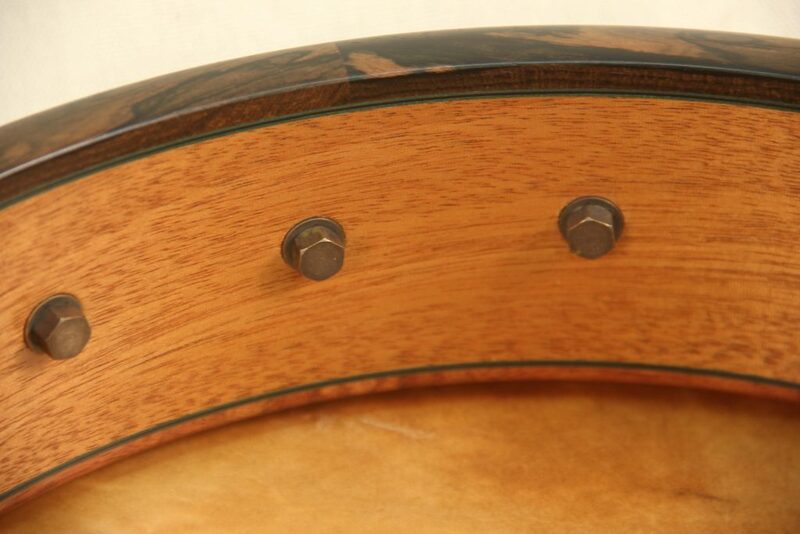 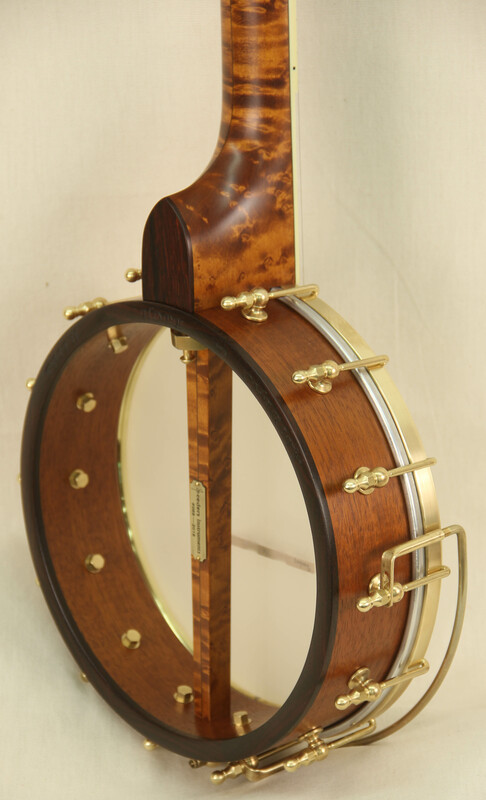 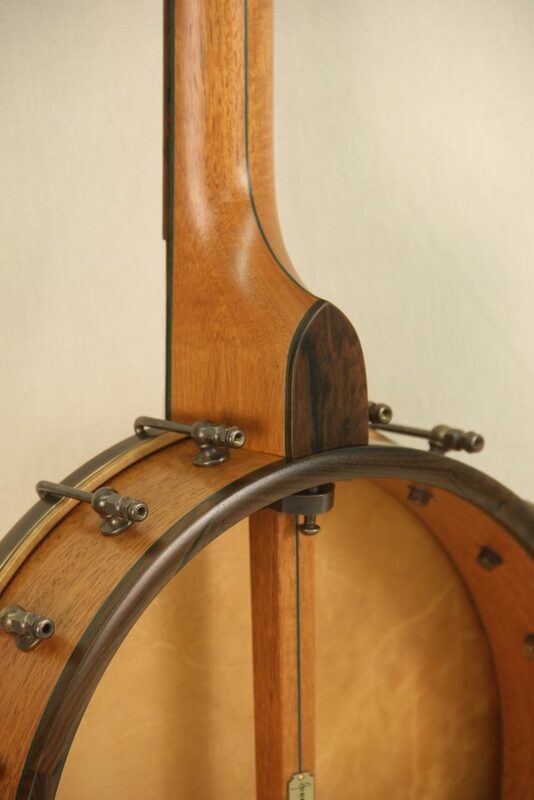 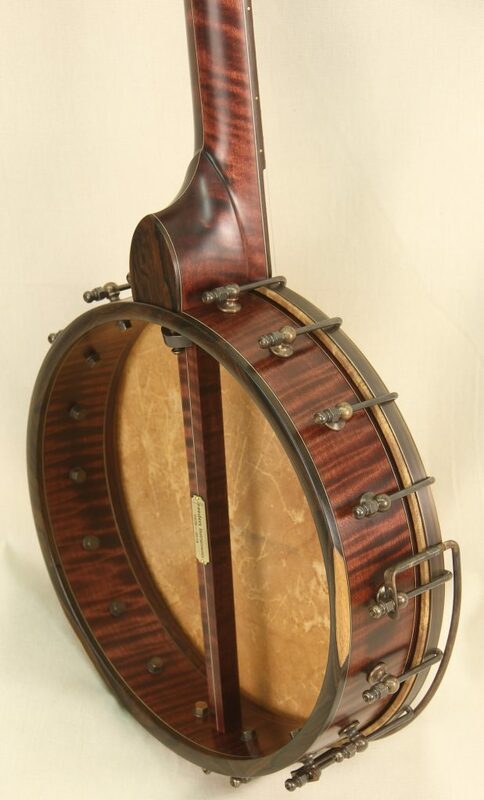 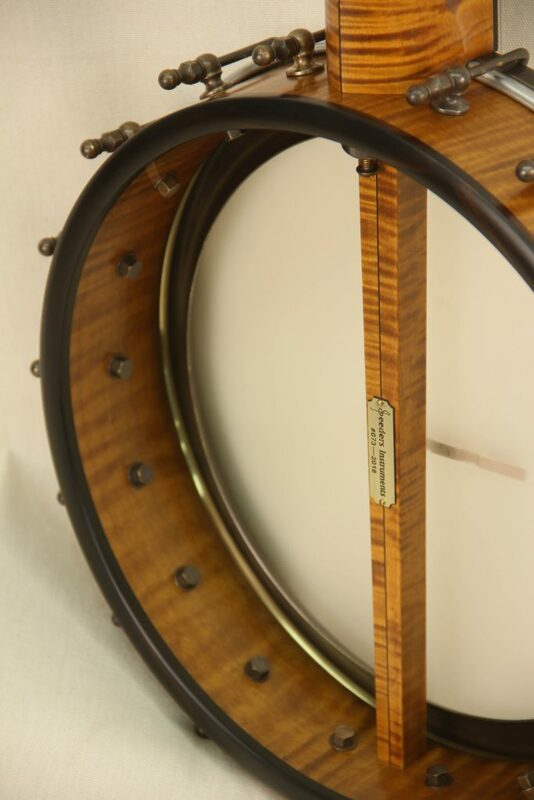 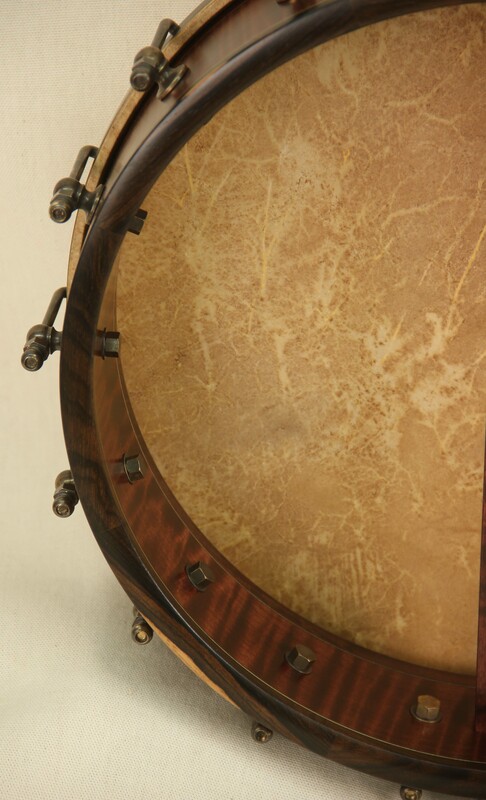 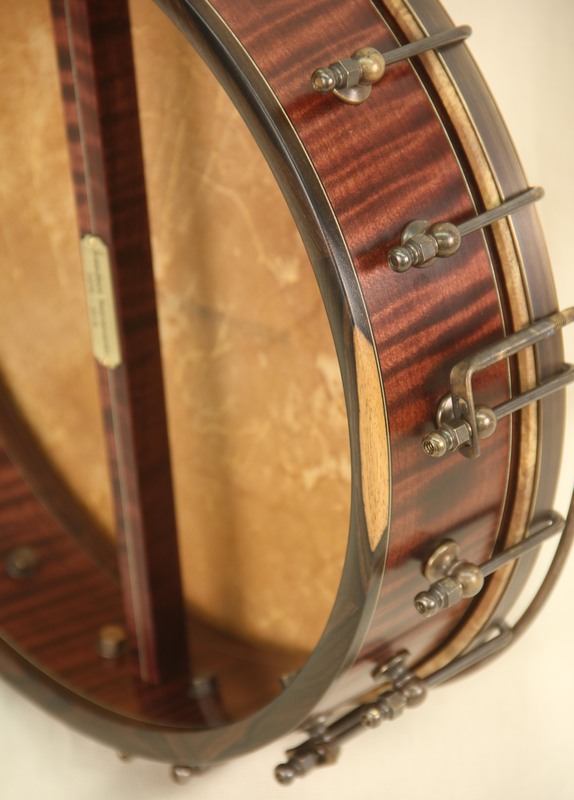 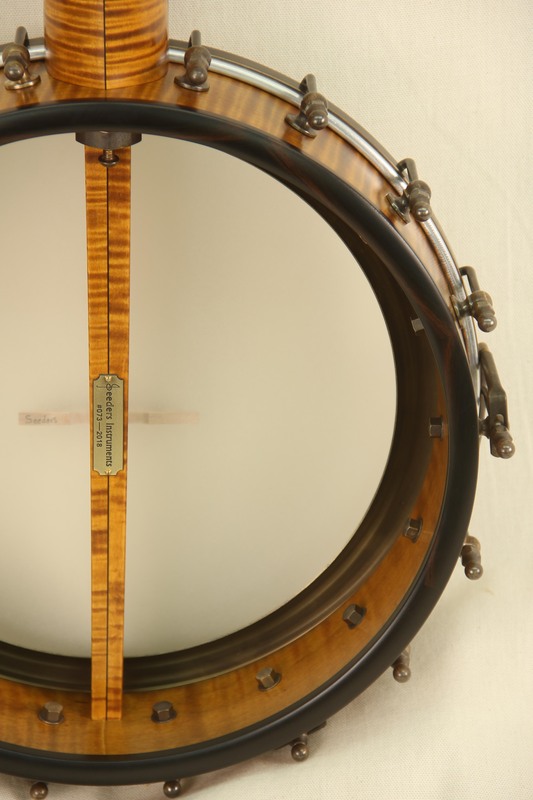 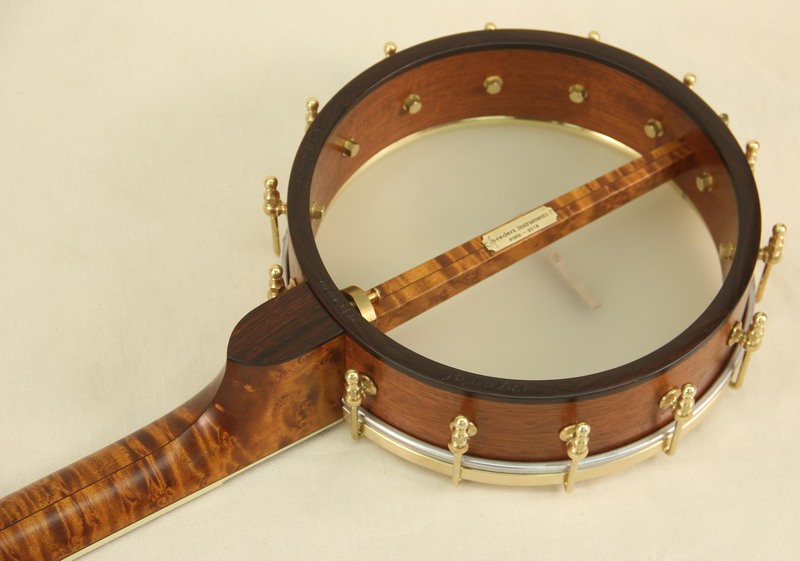 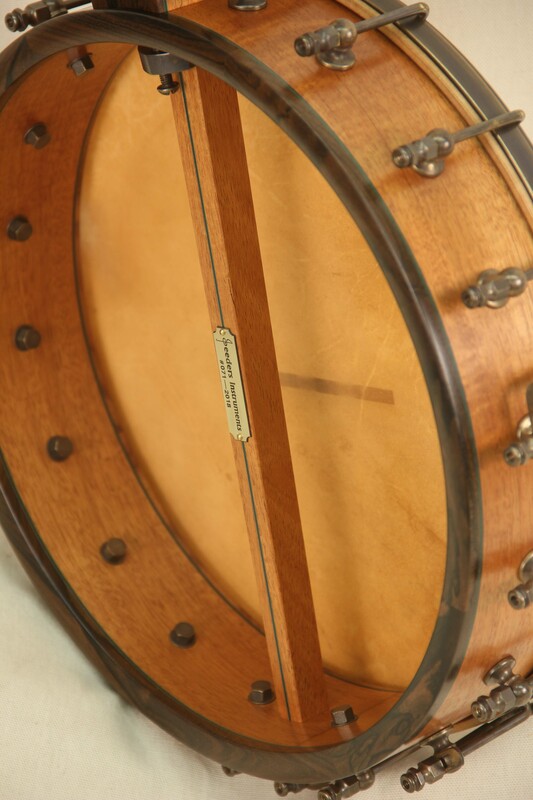 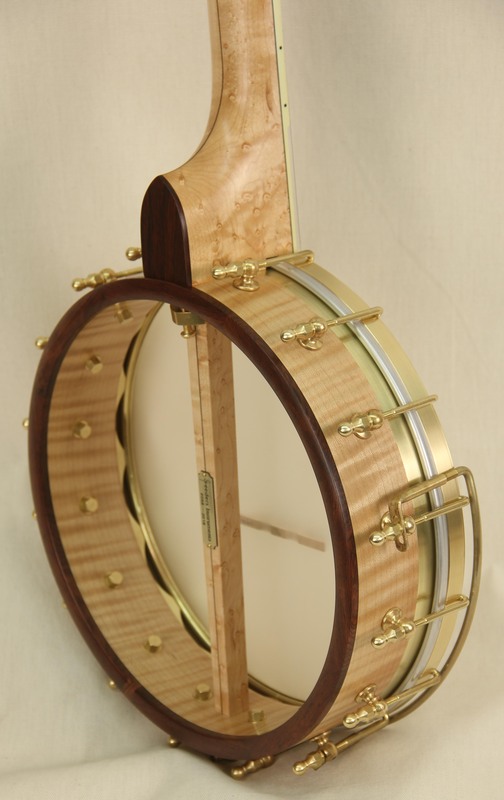 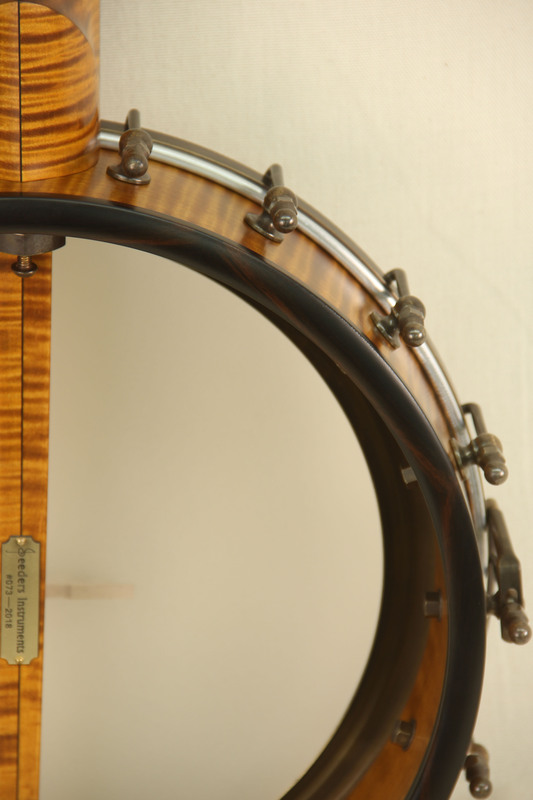 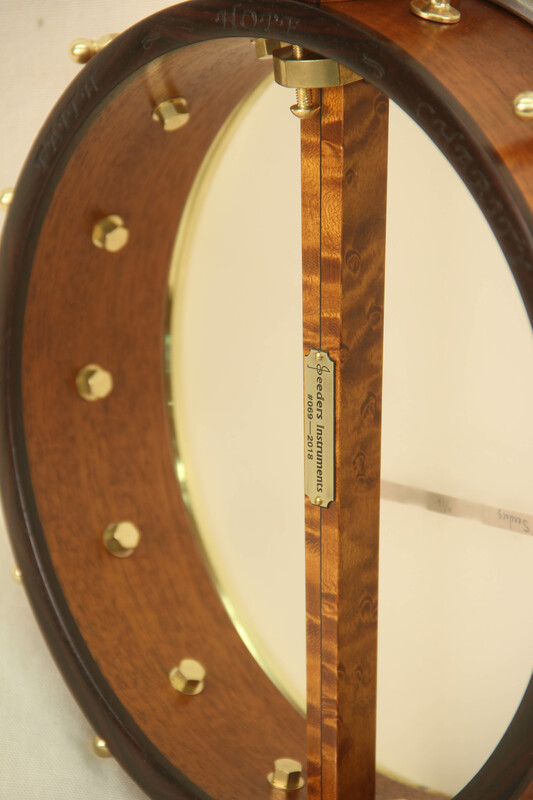 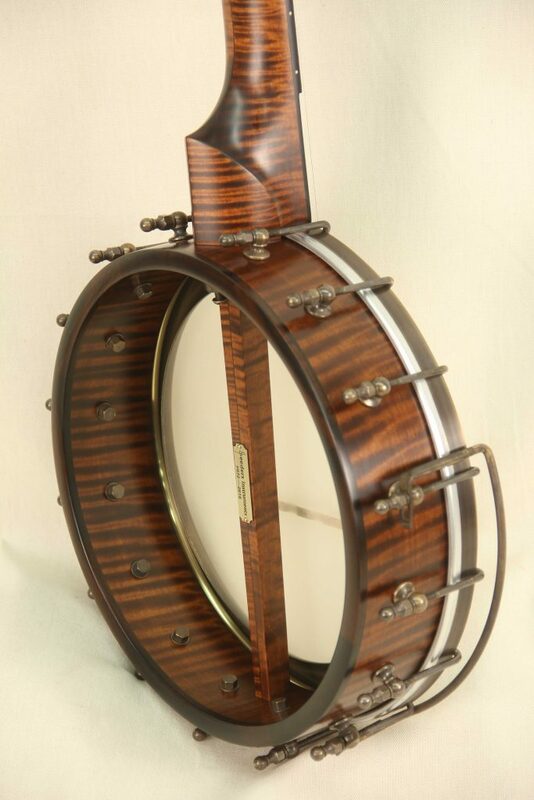 The 10″ rim has a remarkably rich well rounded tone that has plenty of volume and attack. 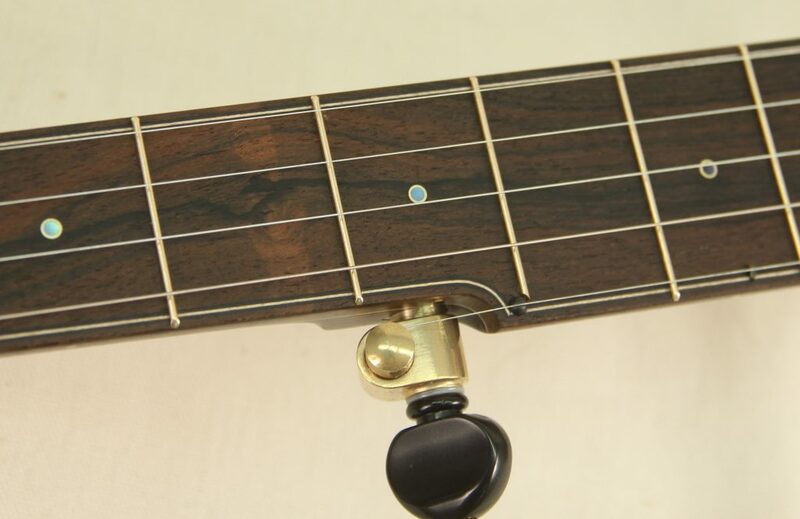 It can hold it’s own against many banjos with larger rims without being too bright and tight sounding like some smaller rims can be. 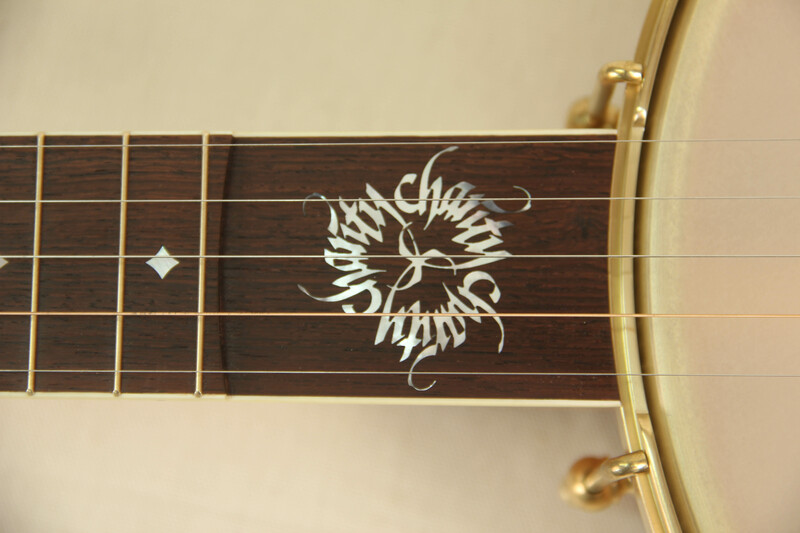 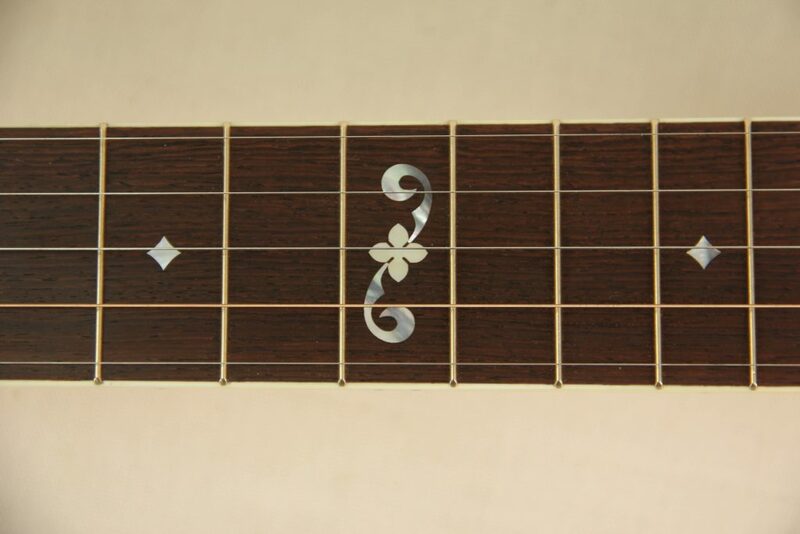 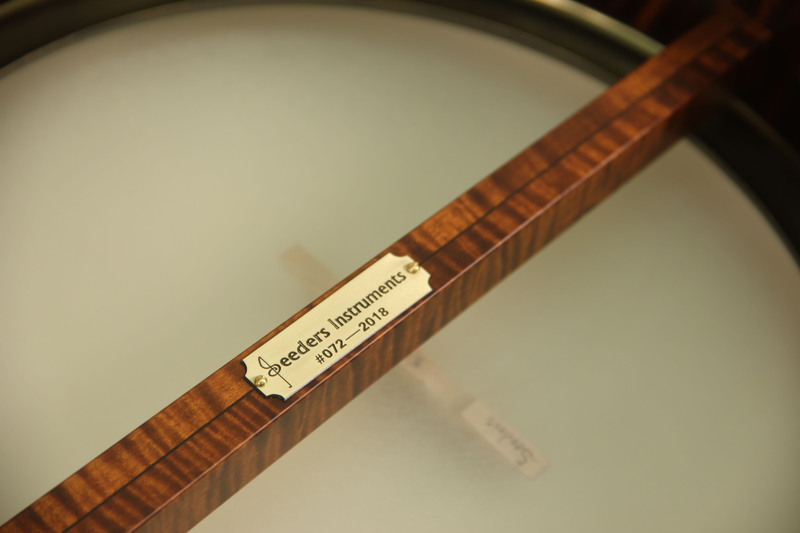 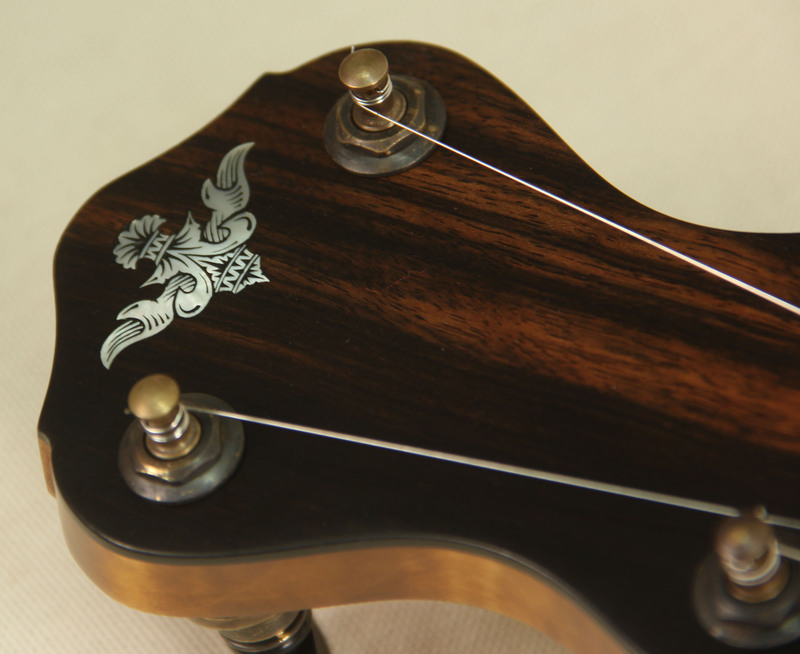 The engraving on the rim cap are words chosen by the owner that make for a very beautiful and personal touch. 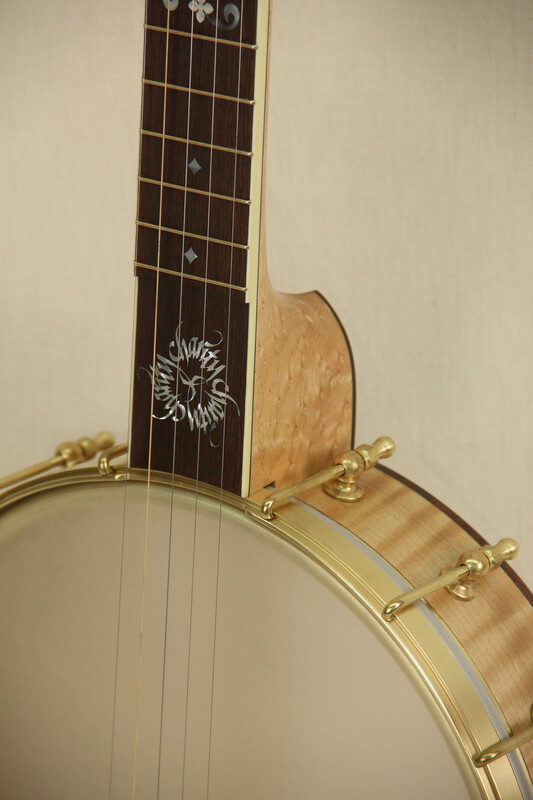 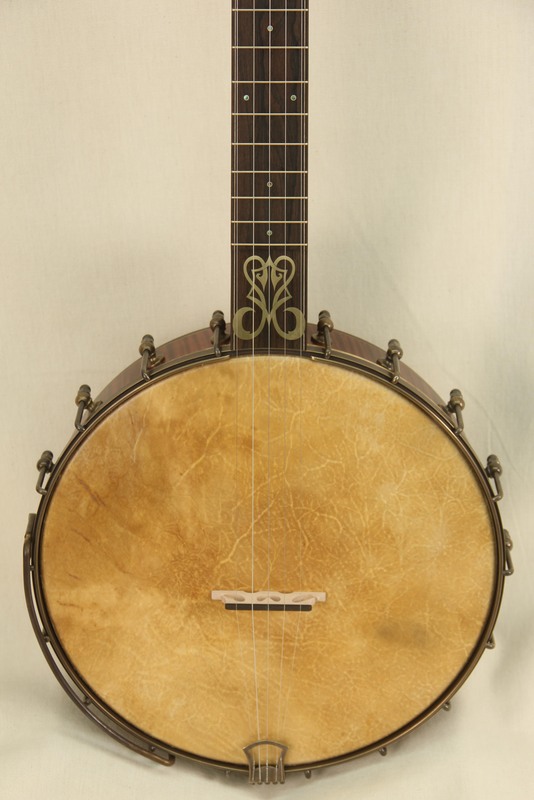 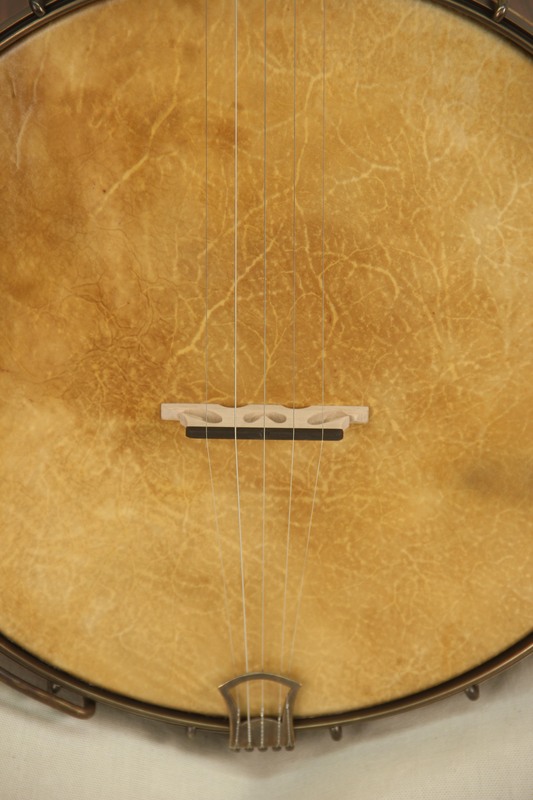 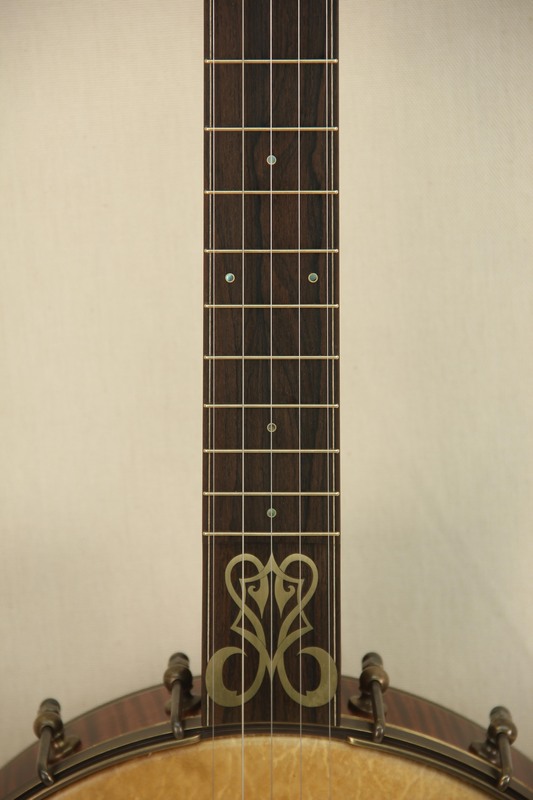 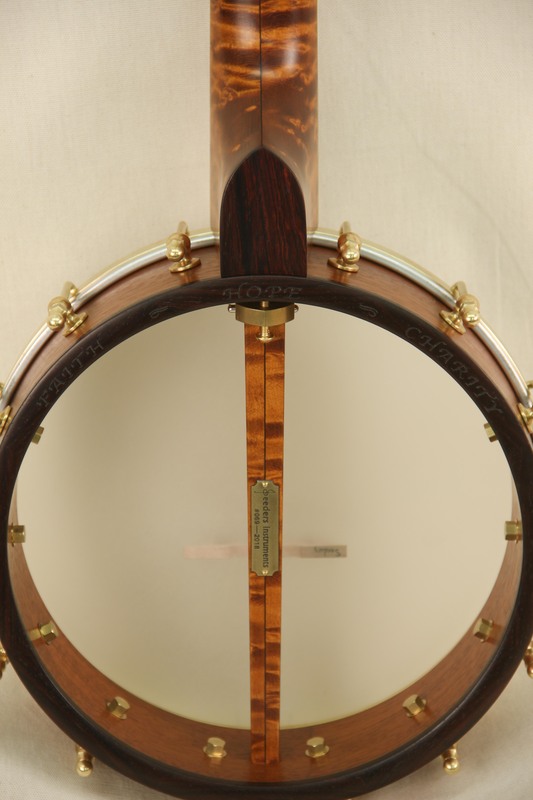 This banjo was built in companion to #069 and both feature a tunneled fifth string and similar details to each other. 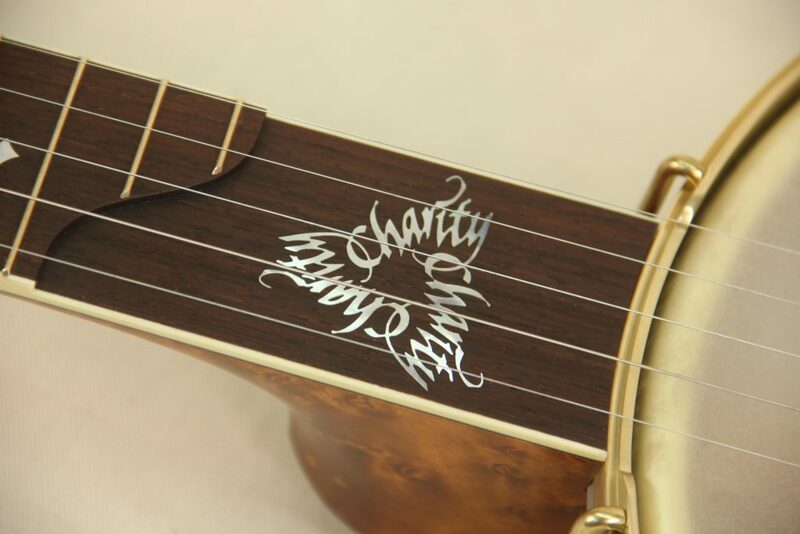 They feature calligraphy inlays in the scoop designed by the owners talented friend Kathryn Darnell. Simple and elegant was our approach to this pair of instruments. 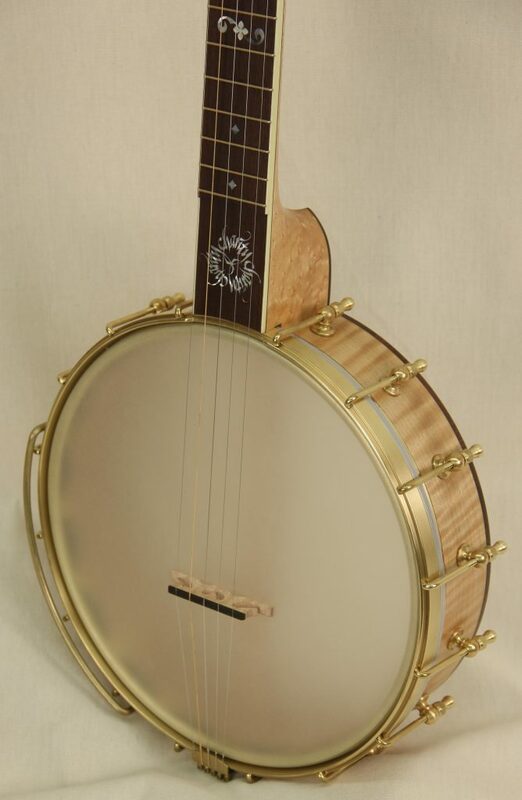 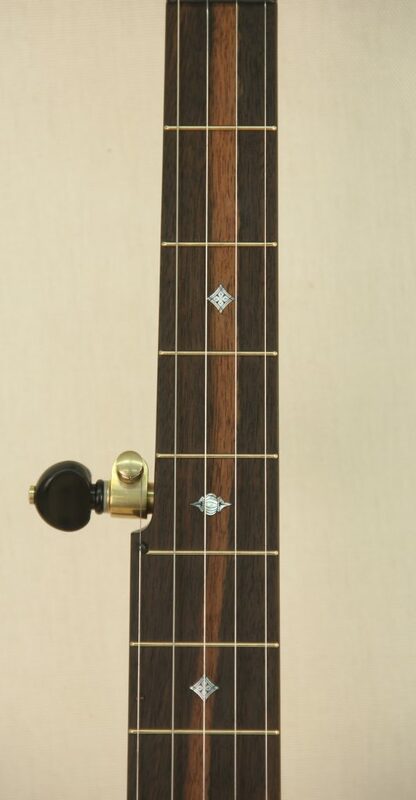 The tunneled fifth string make them incredibly comfortable banjos to play while giving them a unique look. The rare Quilted Cuban Mahogany came from a good friends wood stash that he’s been sitting on for 50+ years that made for a beautiful accent. 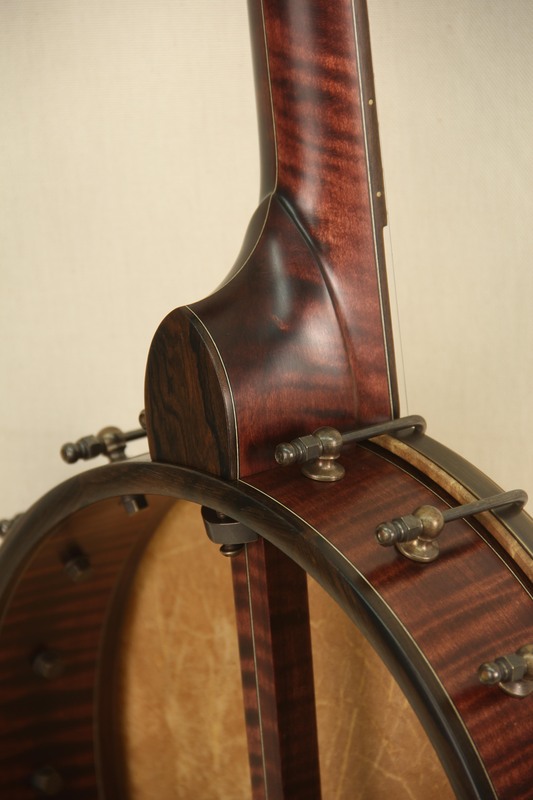 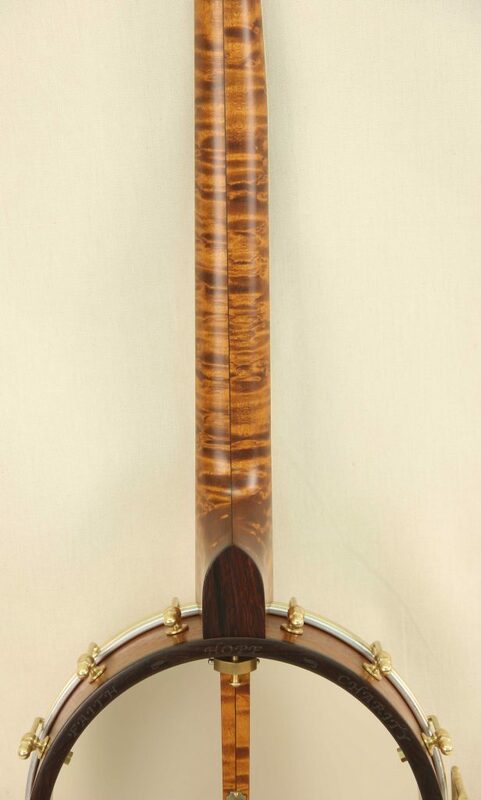 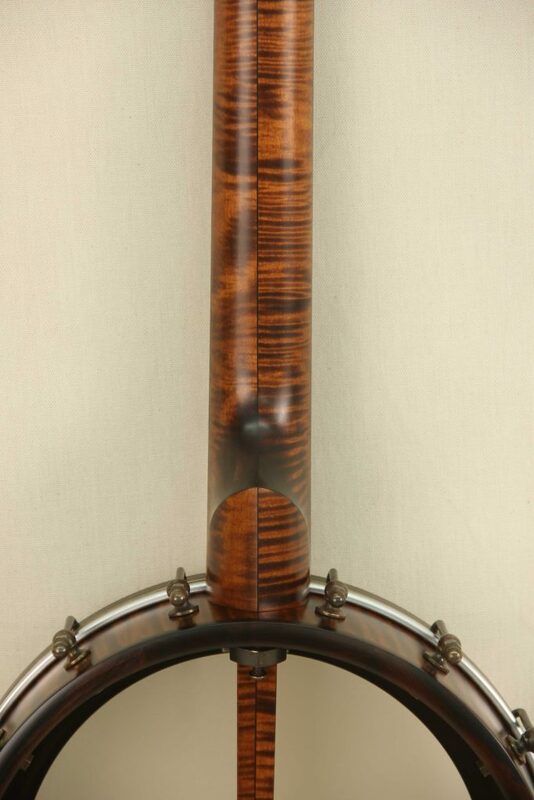 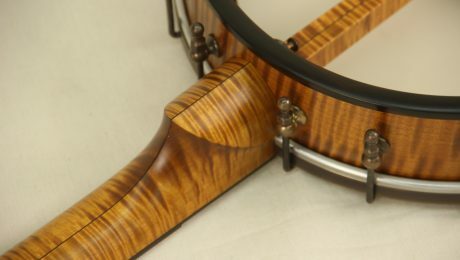 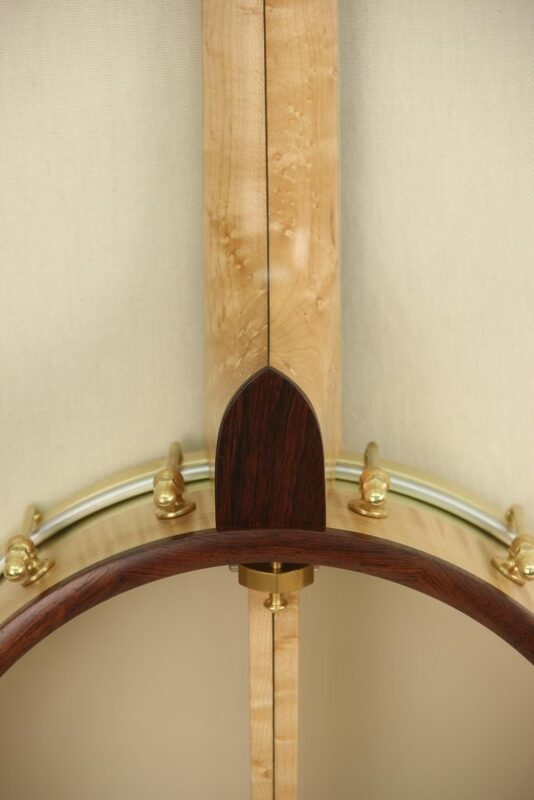 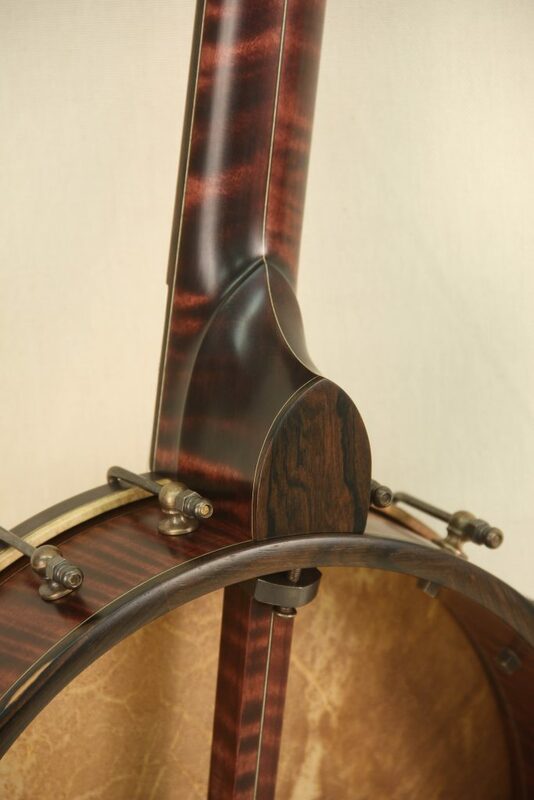 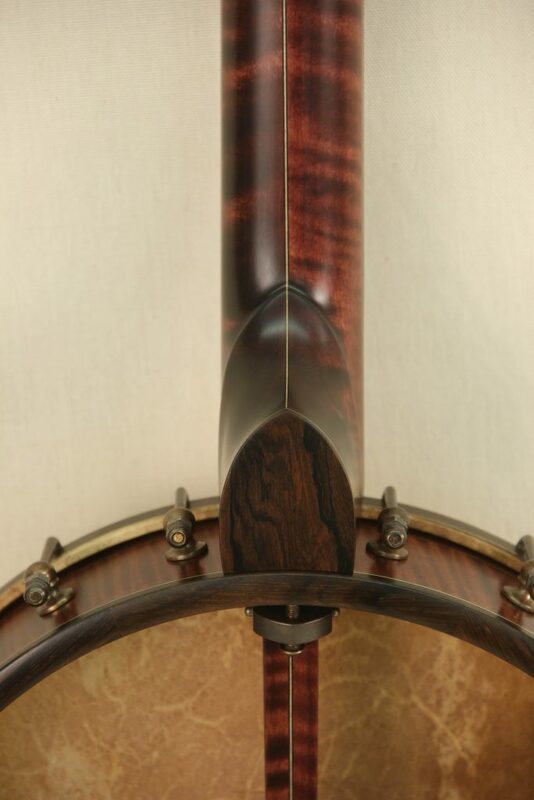 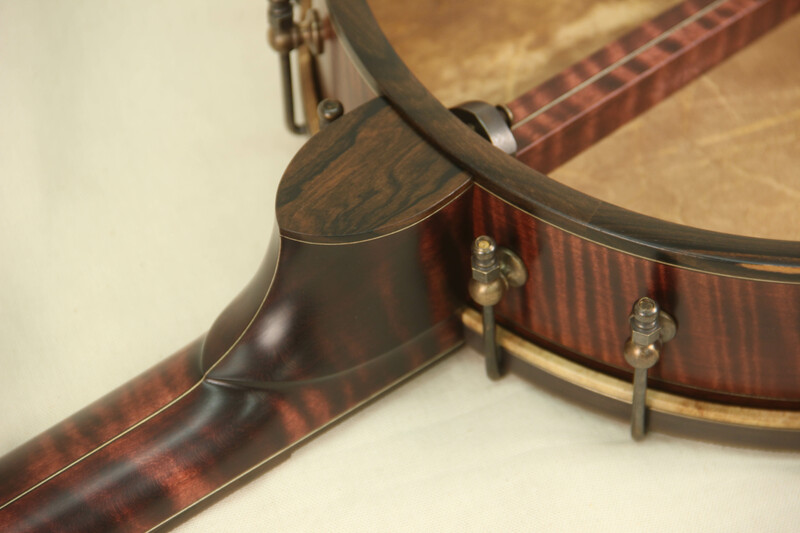 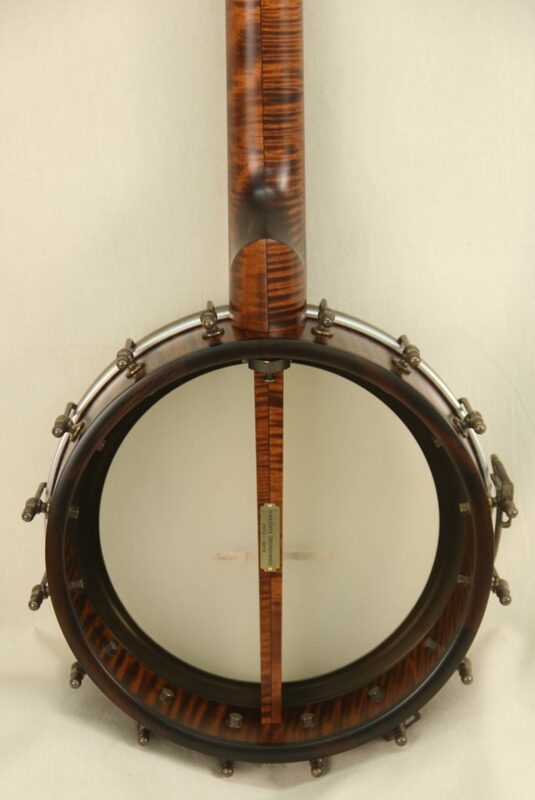 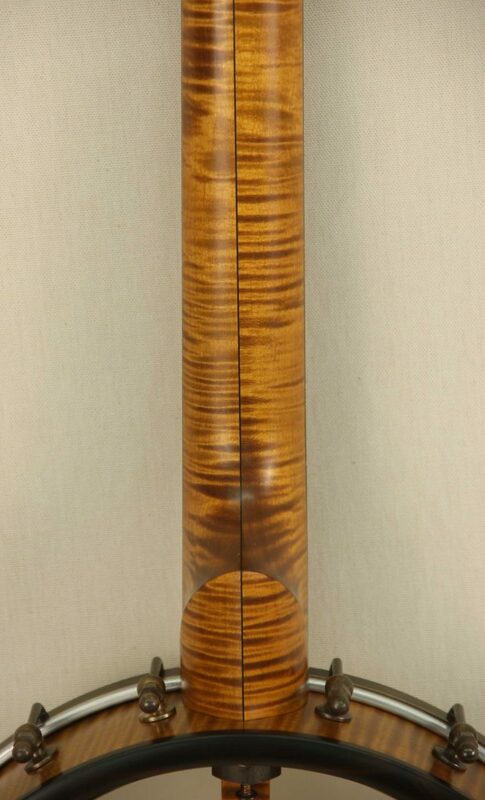 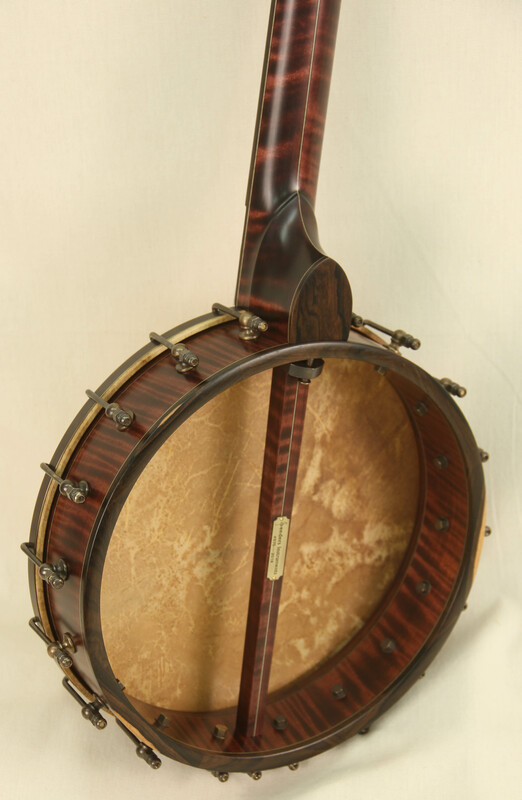 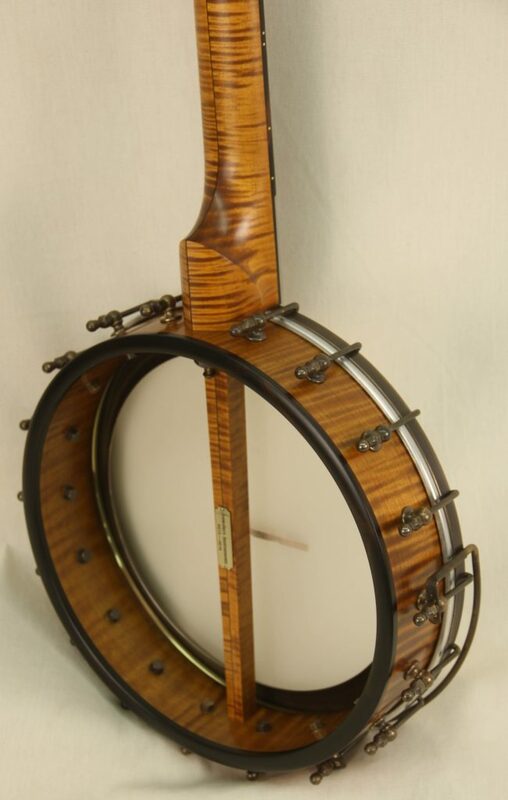 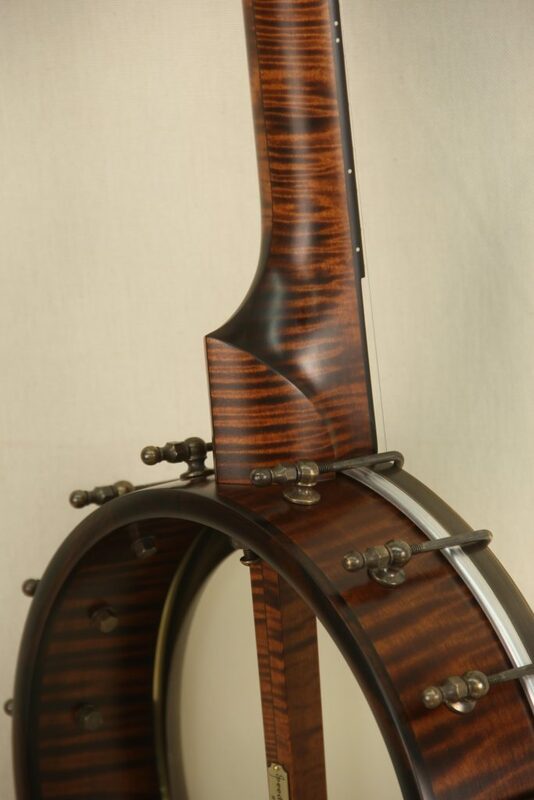 The wood choices and contrasts of this particular banjo made a very stunning and unique instrument.